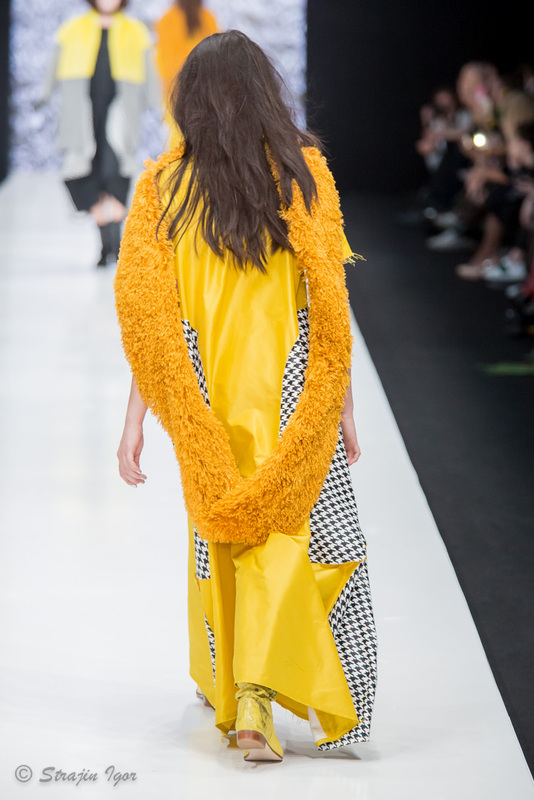 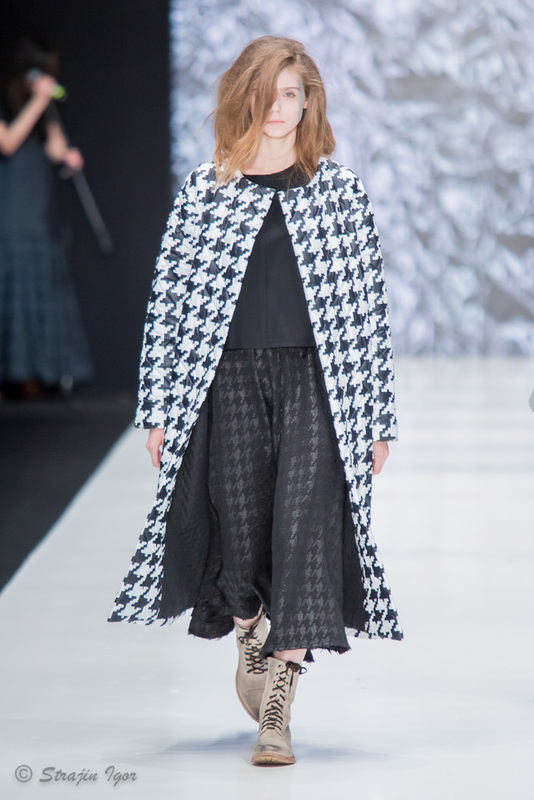 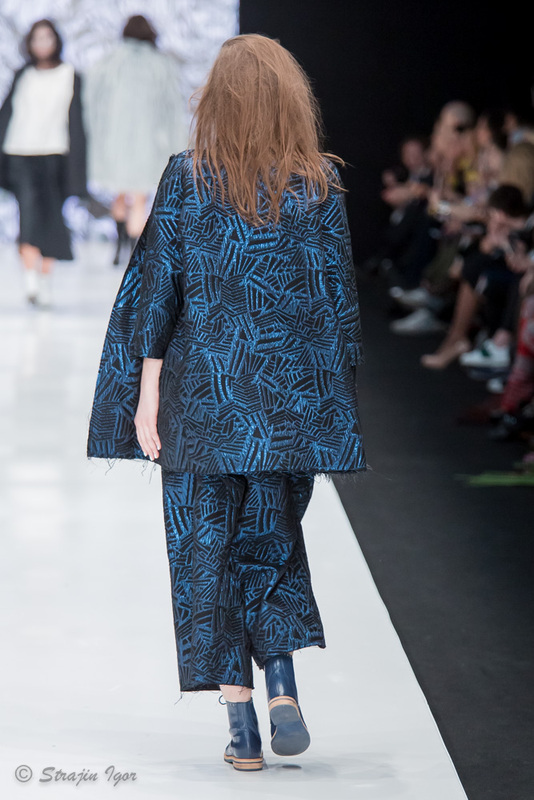 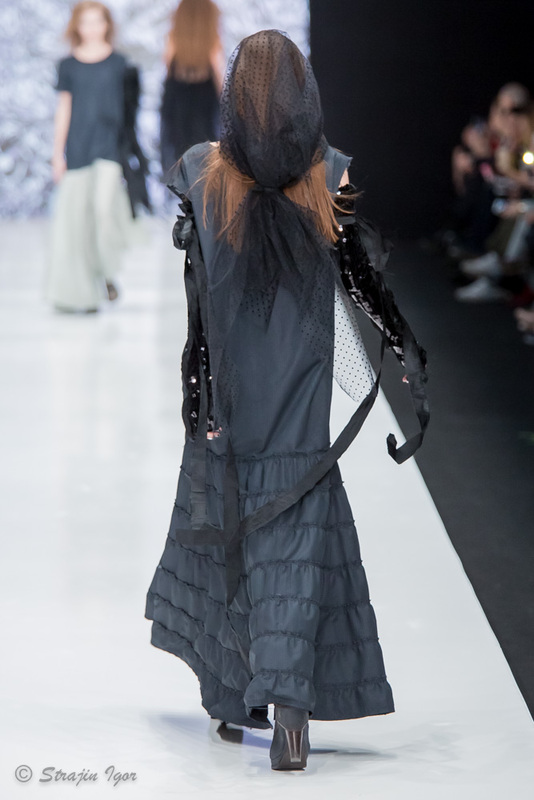 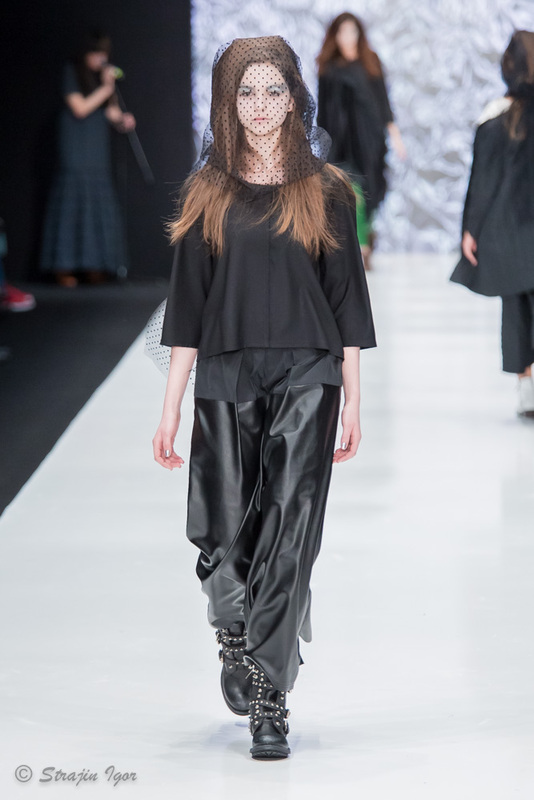 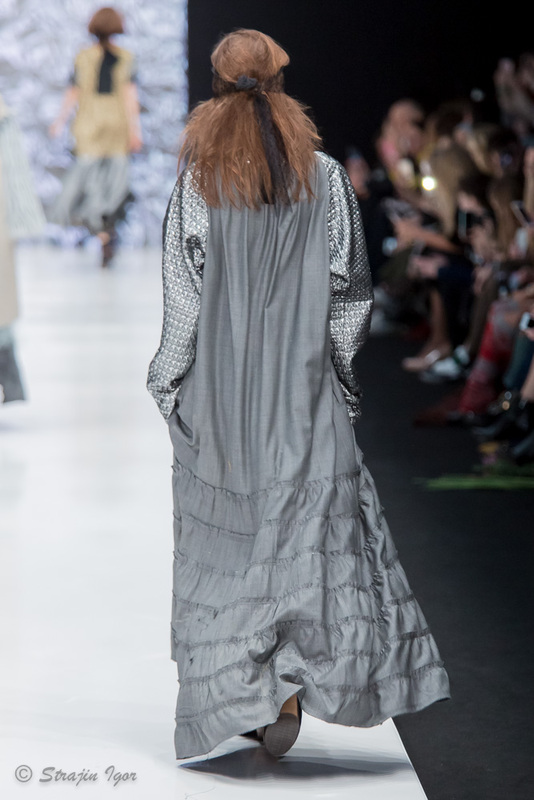 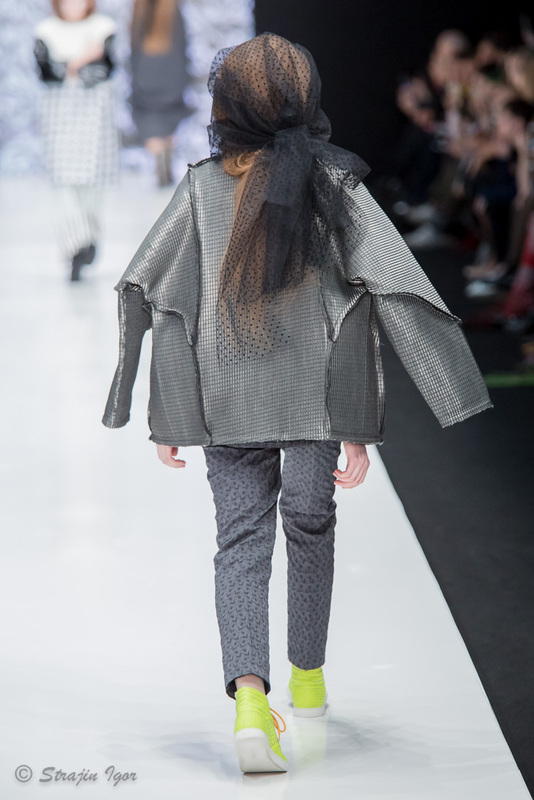 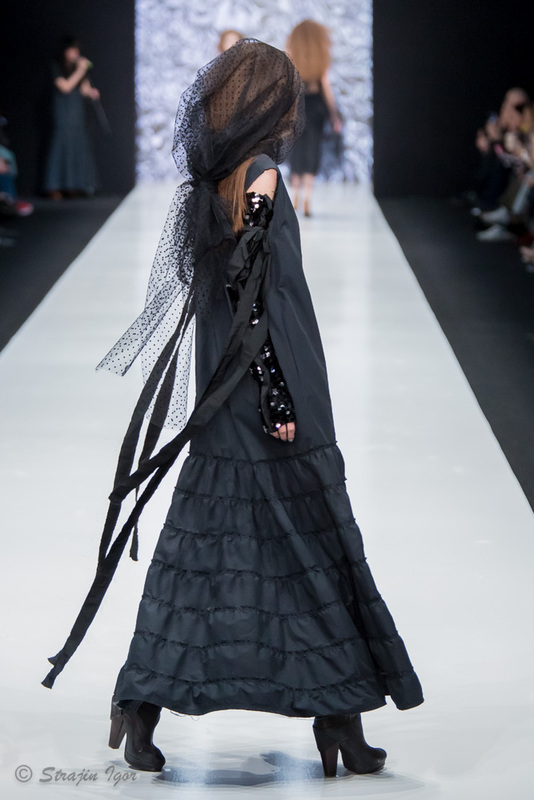 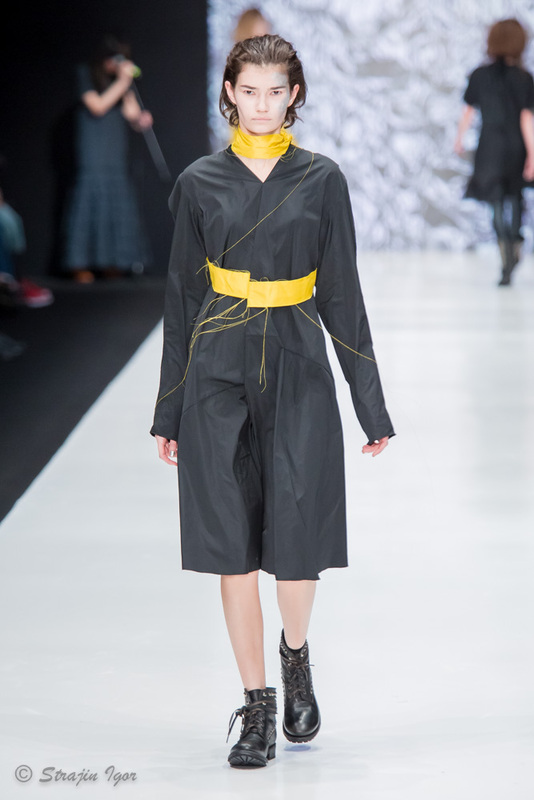 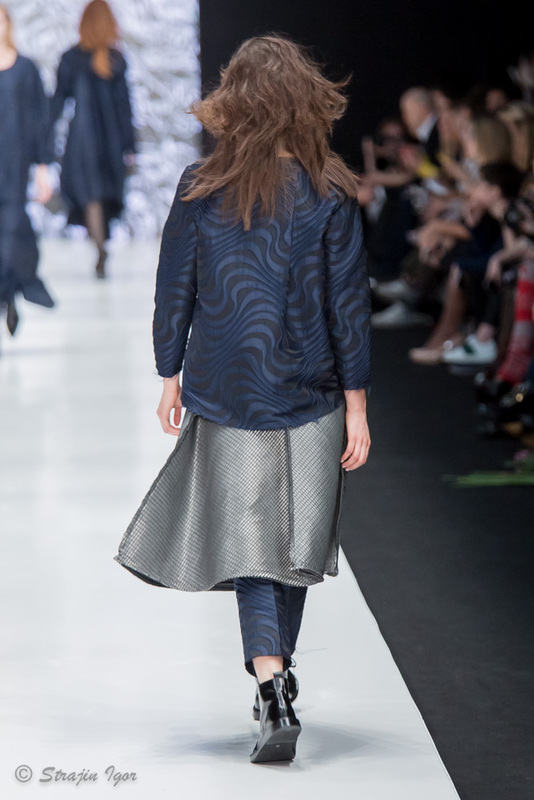 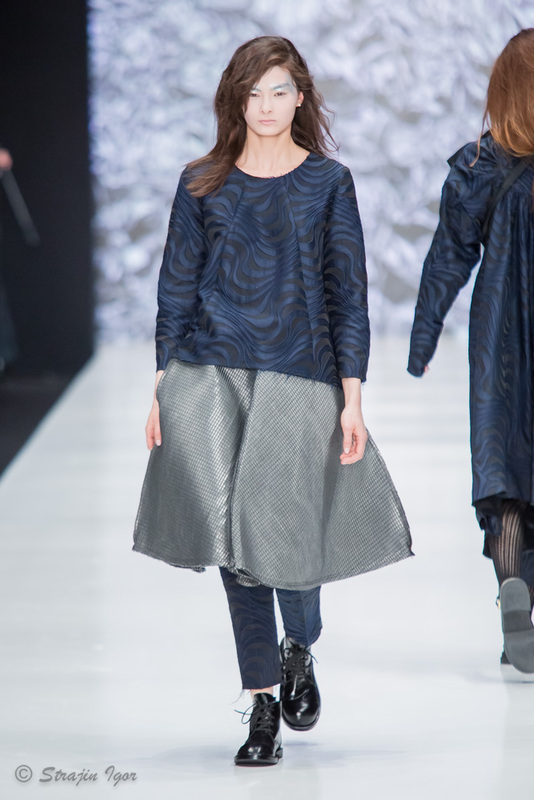 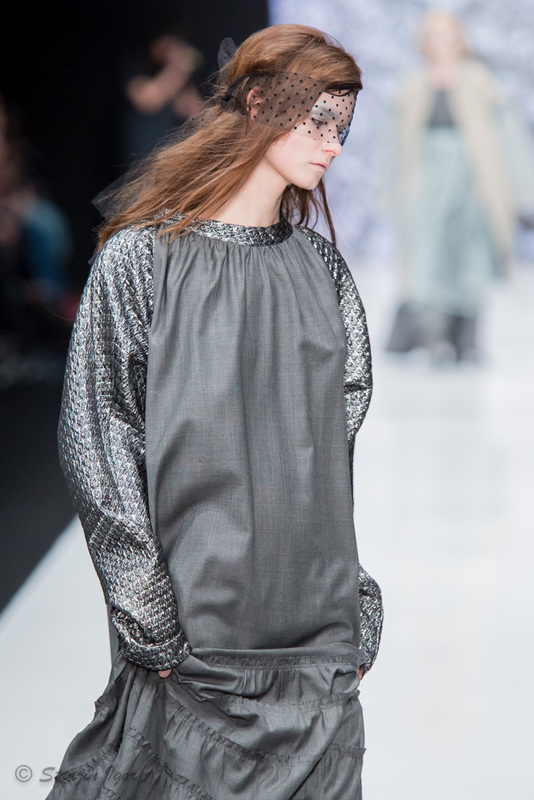 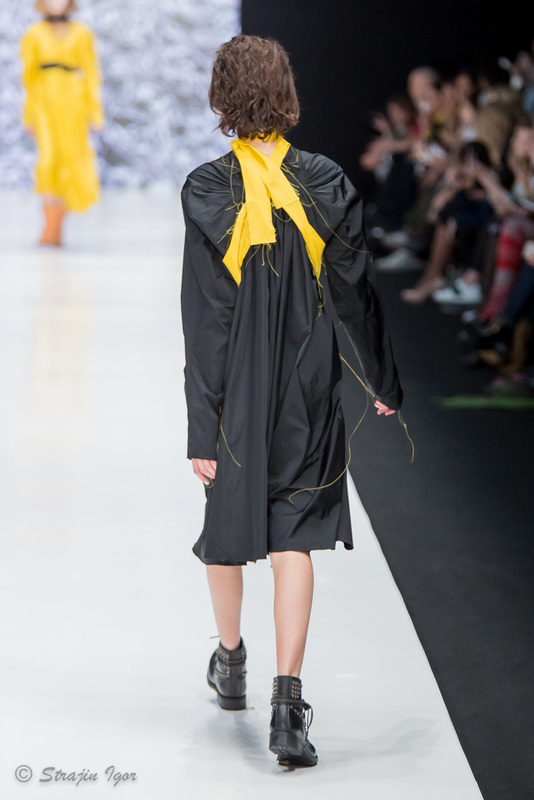 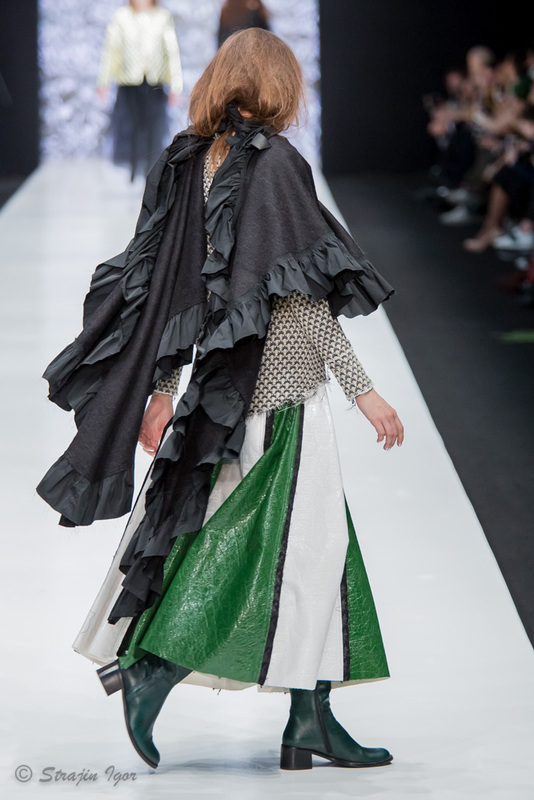 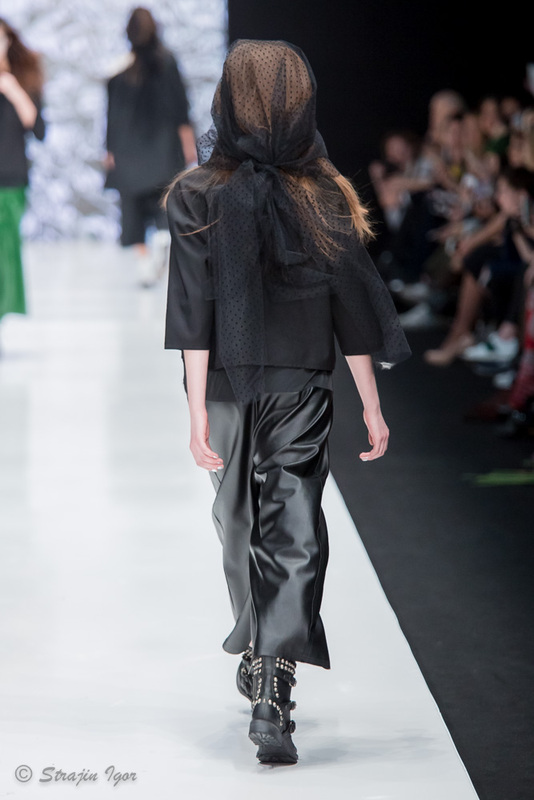 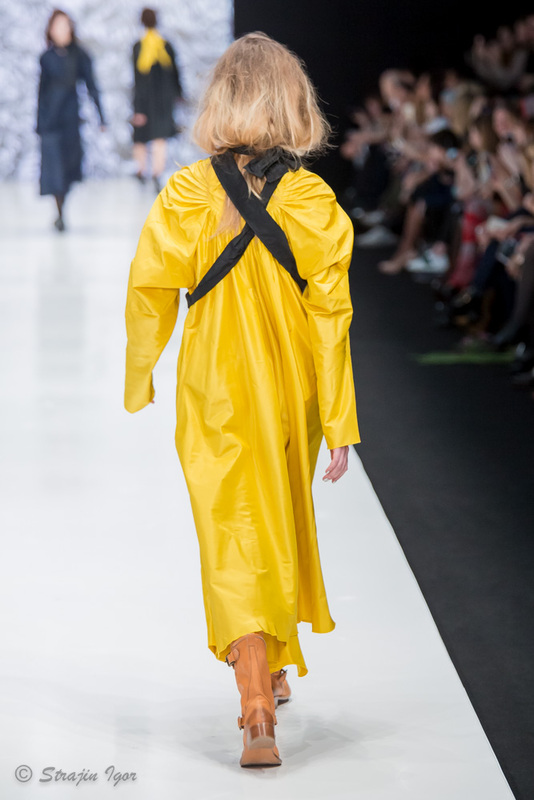 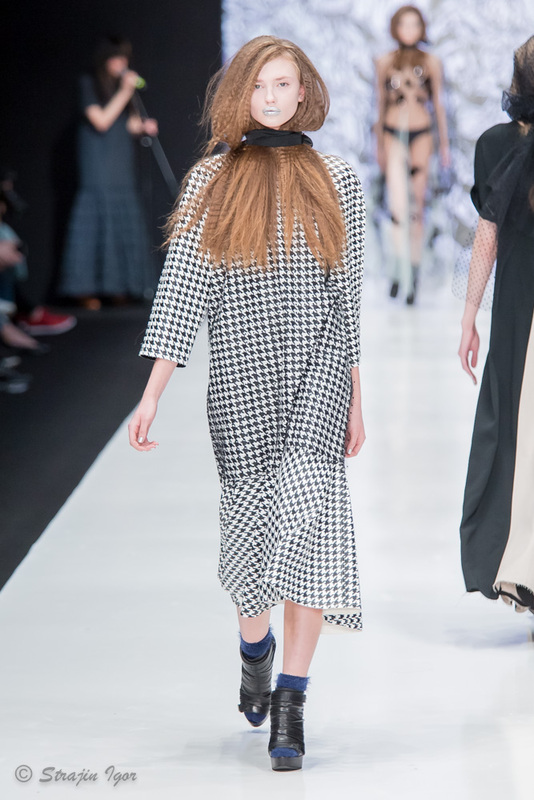 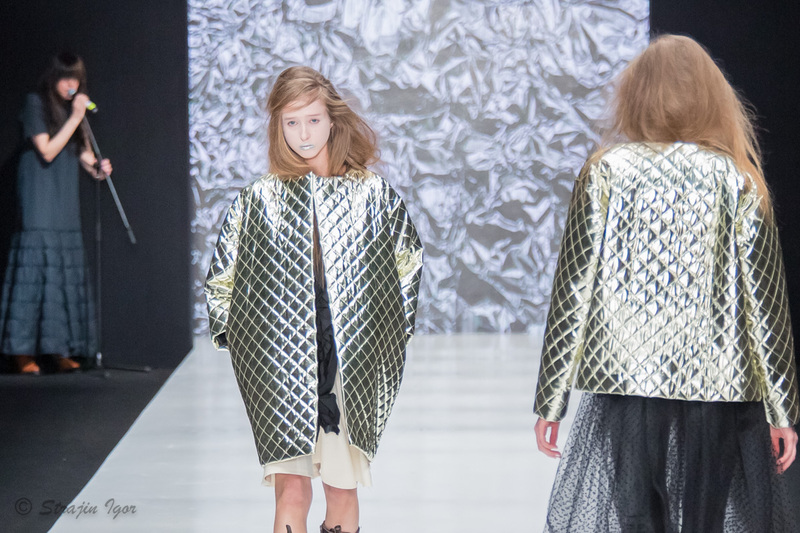 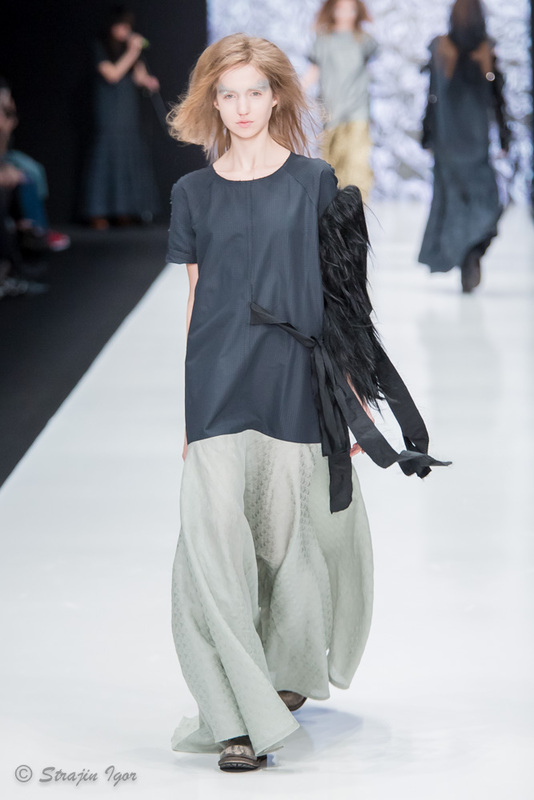 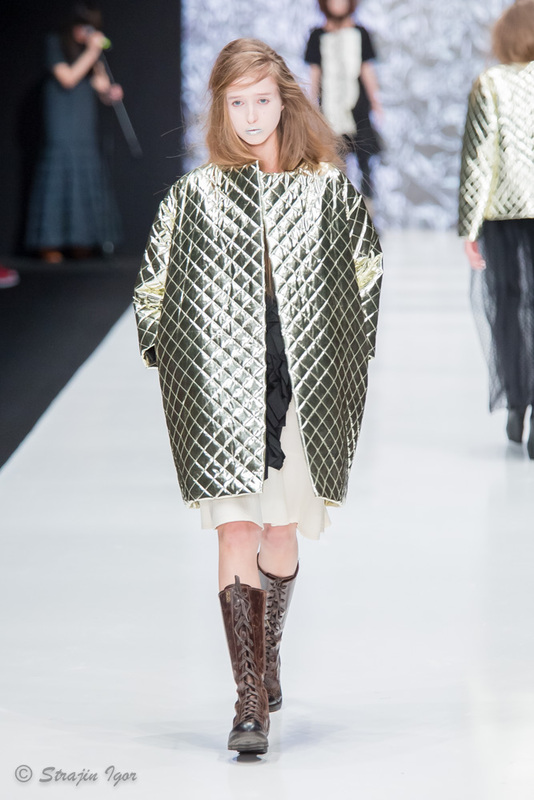 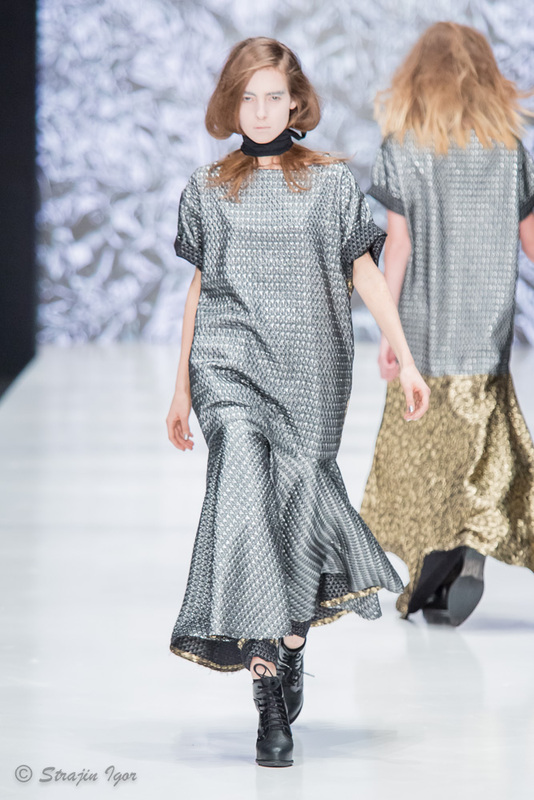 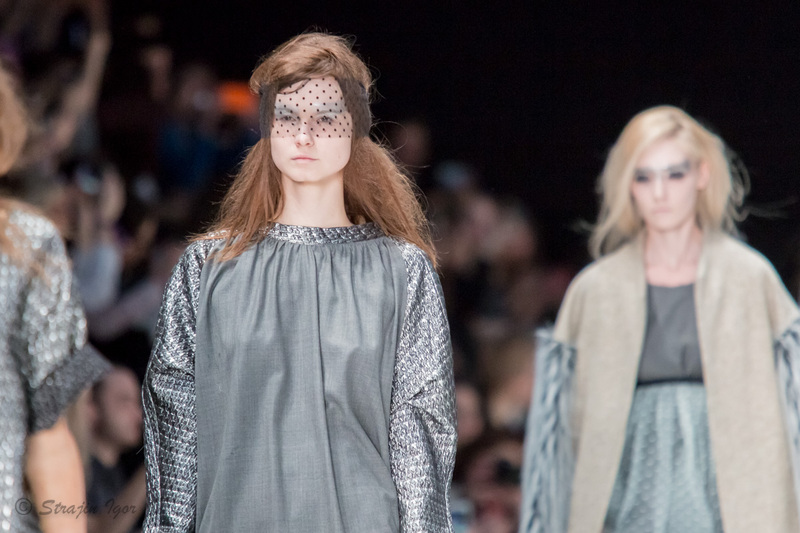 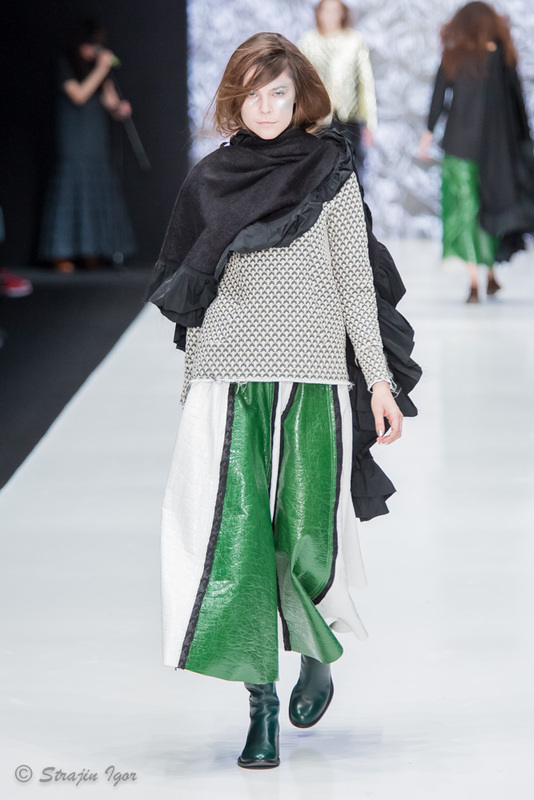 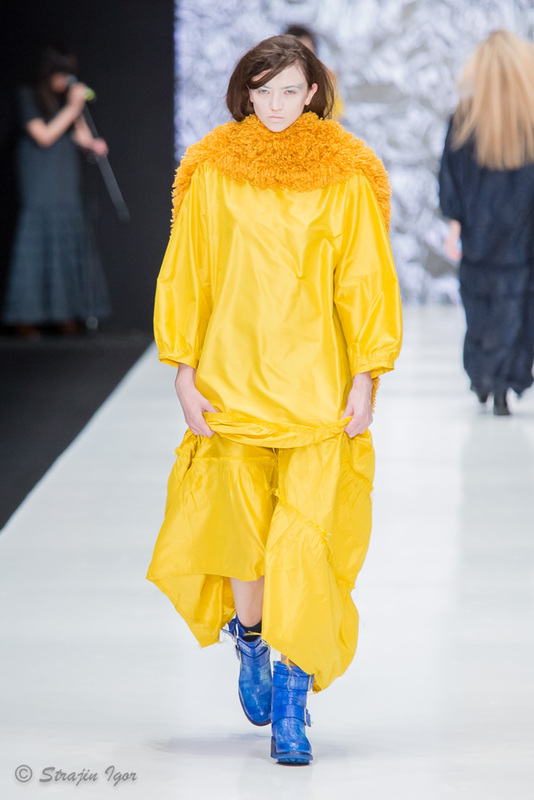 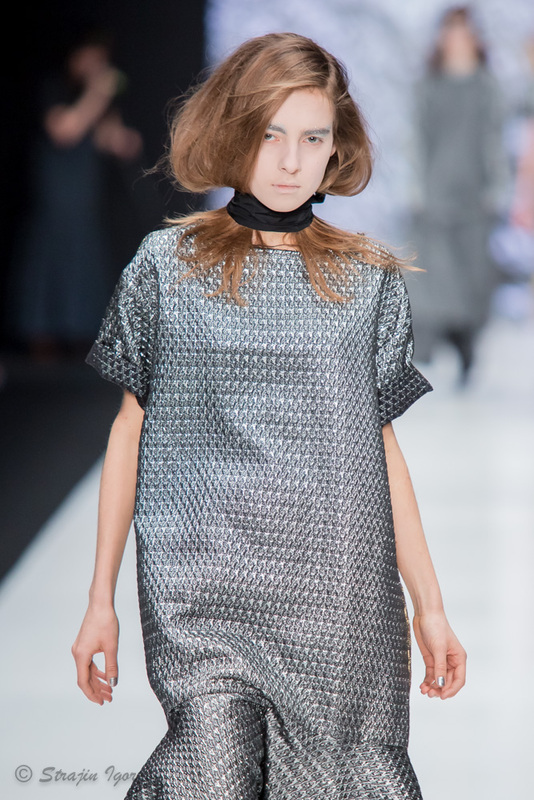 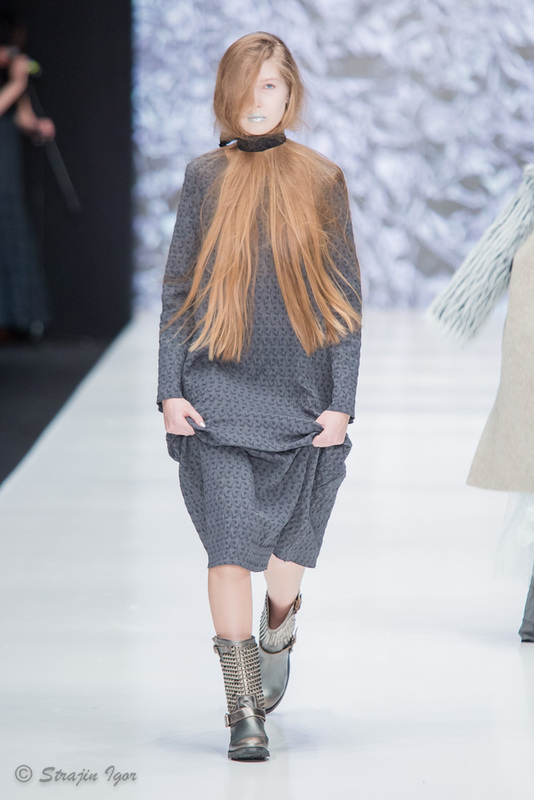 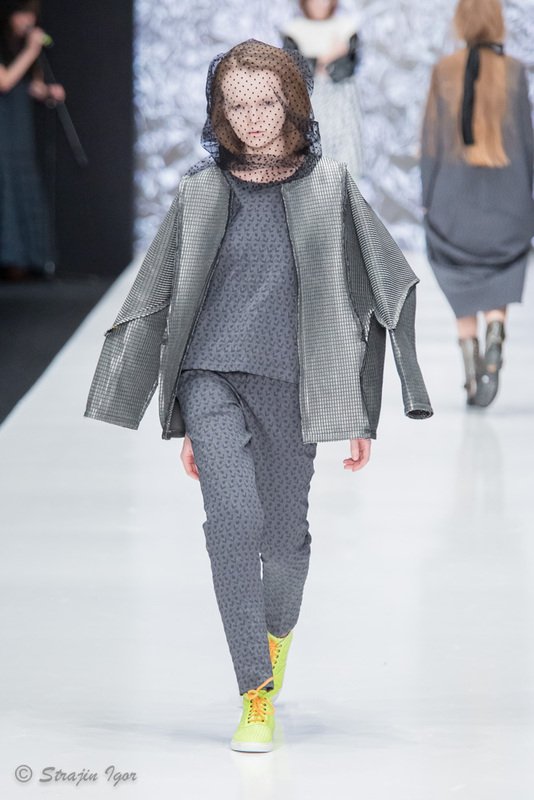 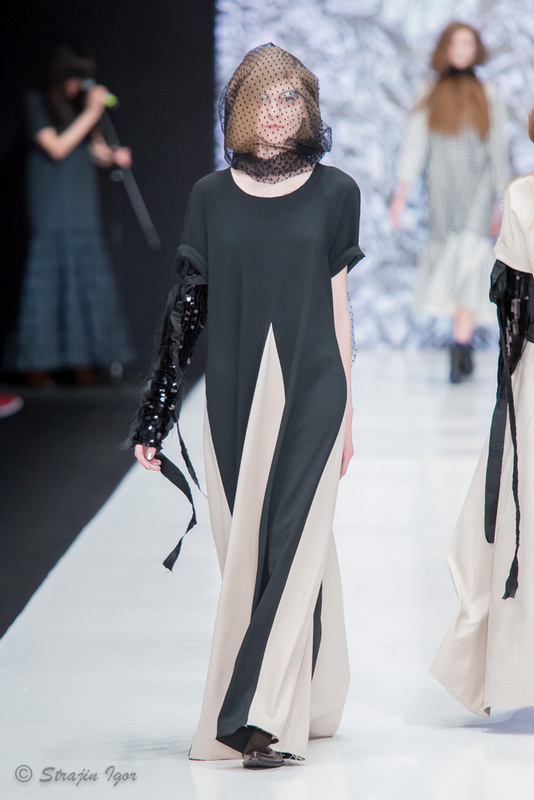 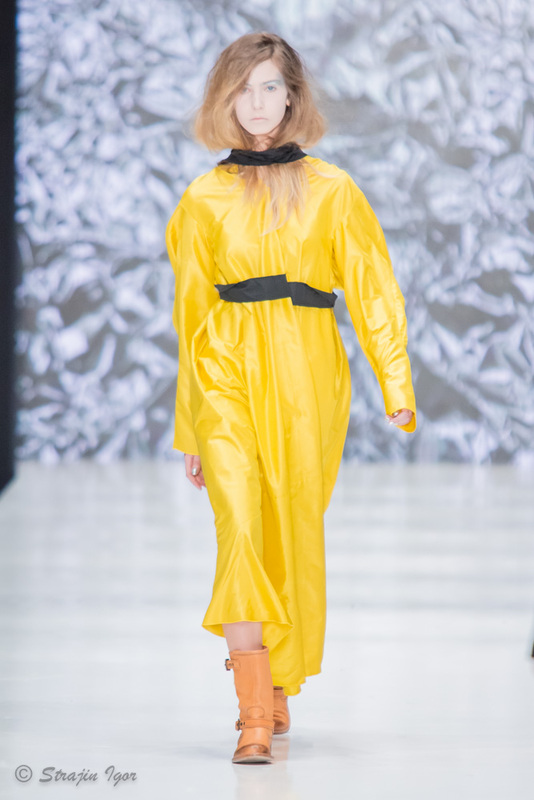 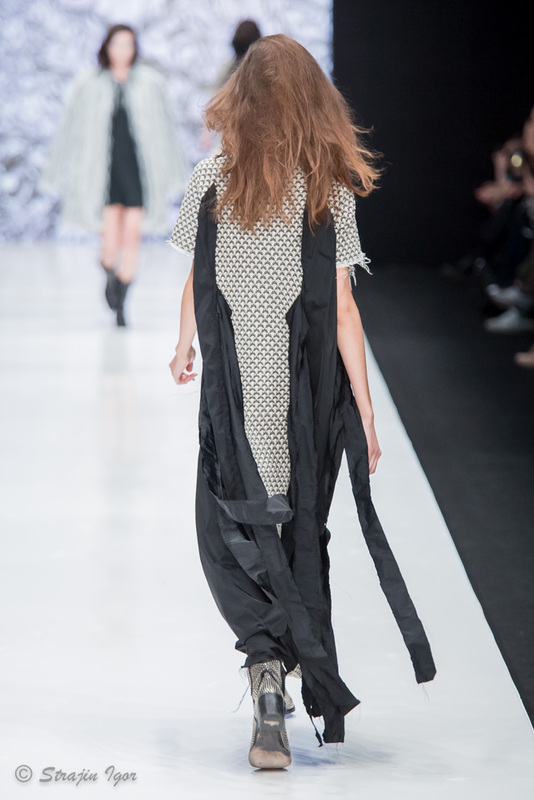 Показ коллекции IVKA осень-зима 2016/17 на Mercedes-Benz Fashion Week Russia. 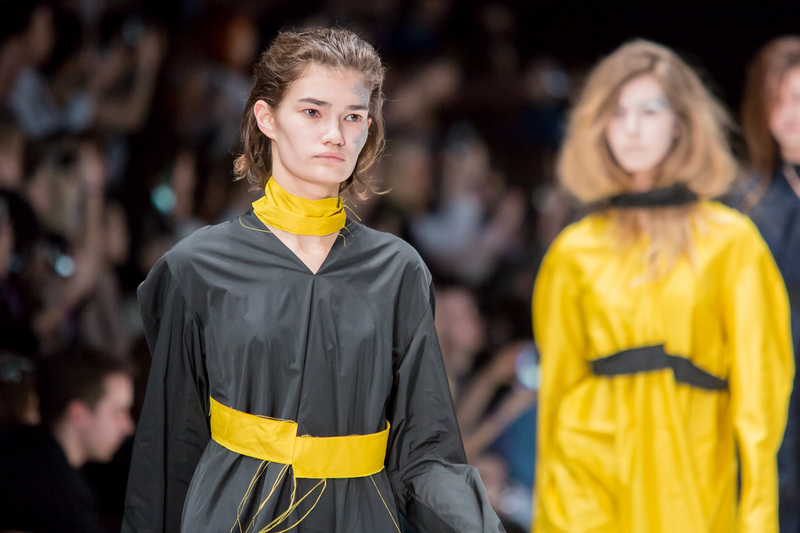 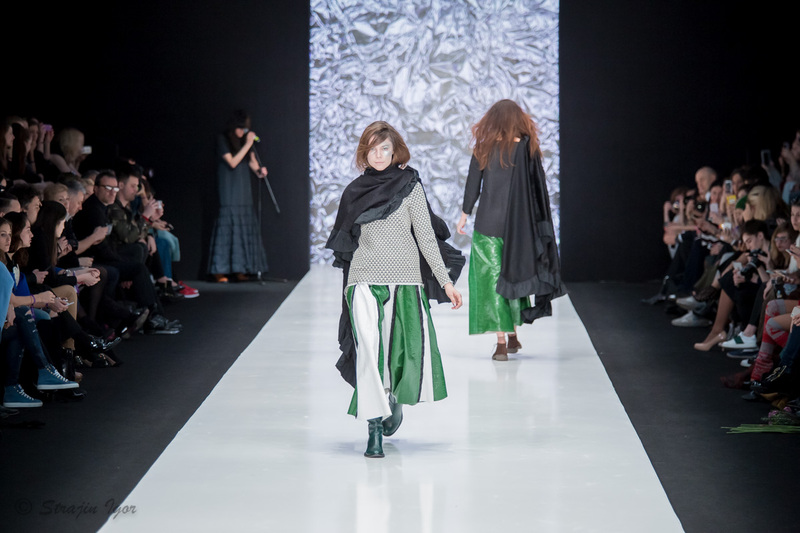 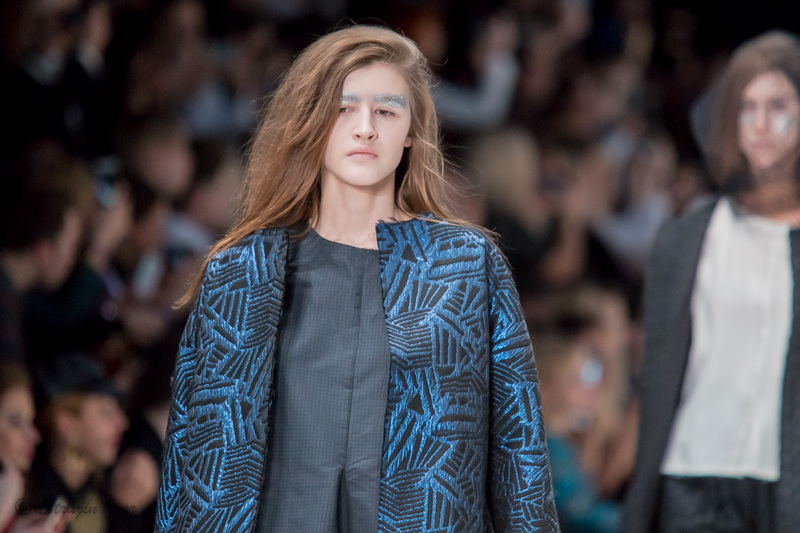 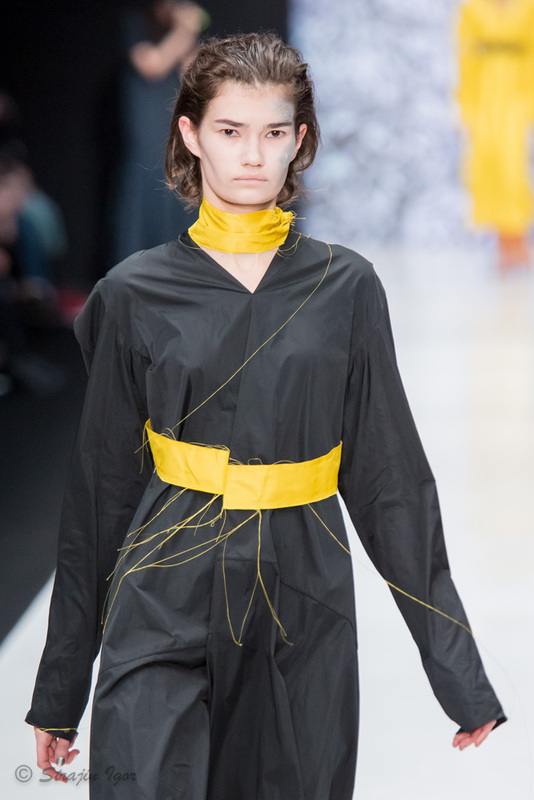 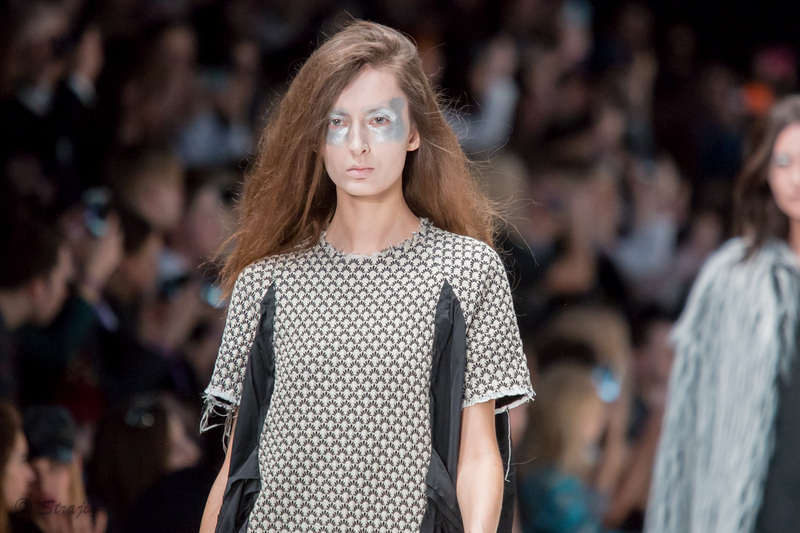 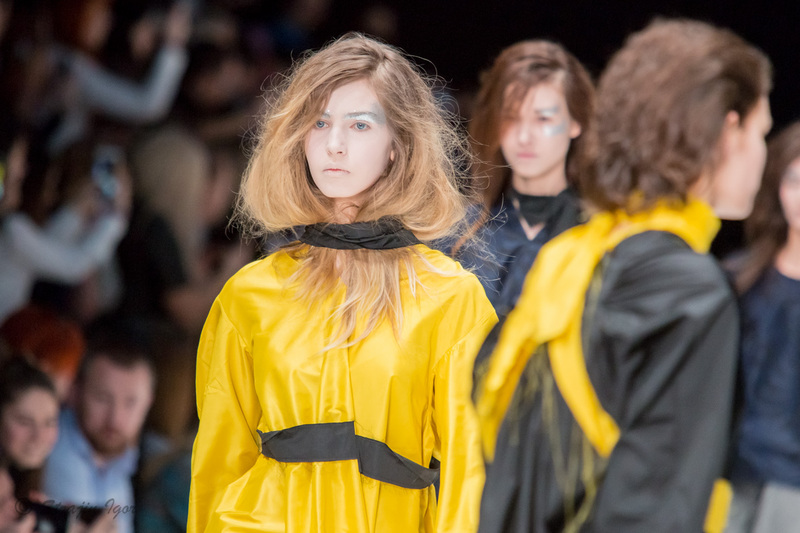 Brand I V K A featured multidimensional performance of outfits: prevailing minimalism, complex cuts and androgyny could be traced in the collection. 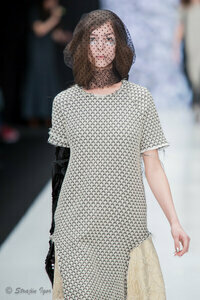 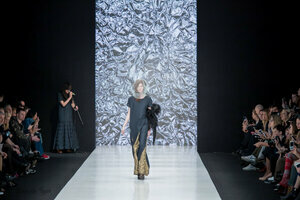 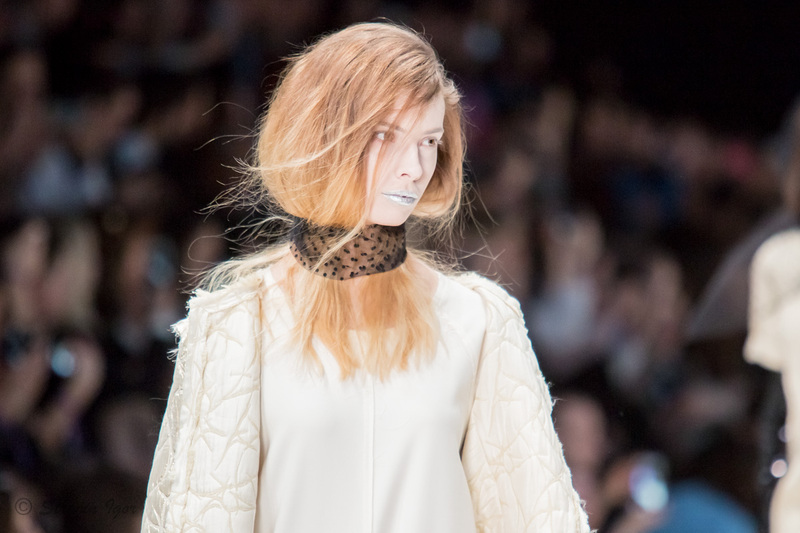 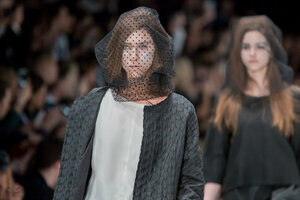 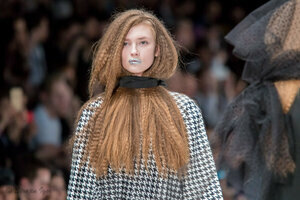 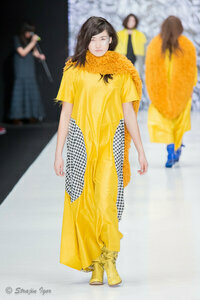 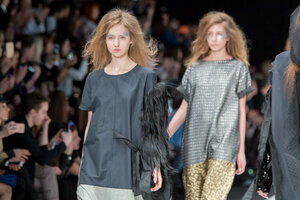 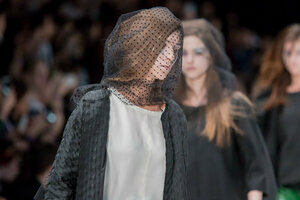 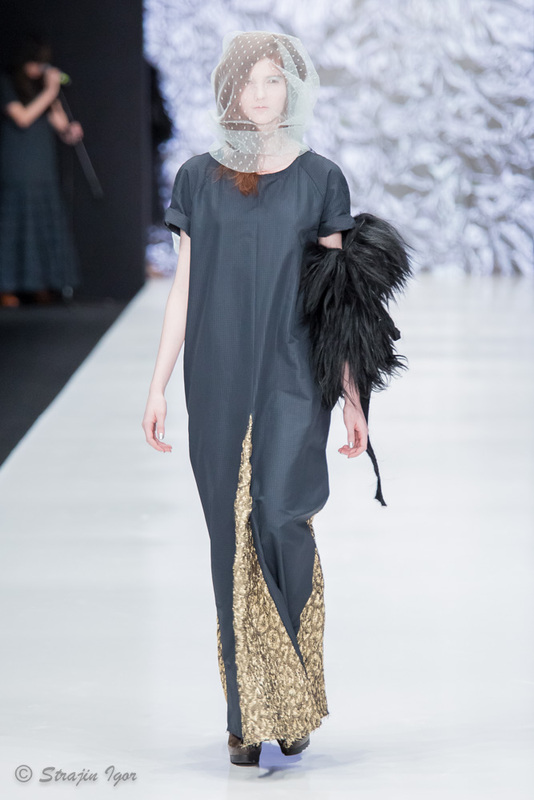 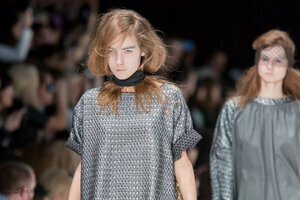 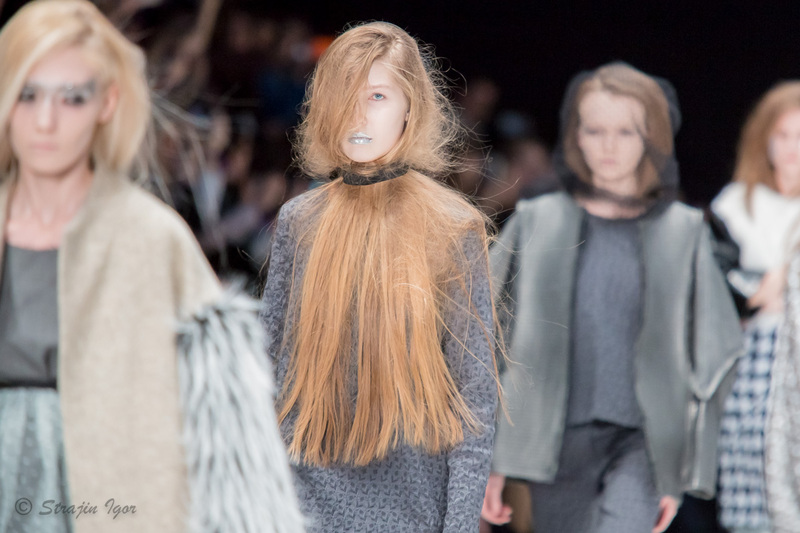 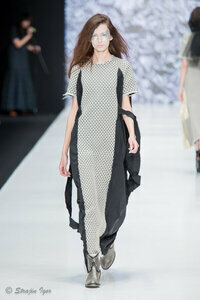 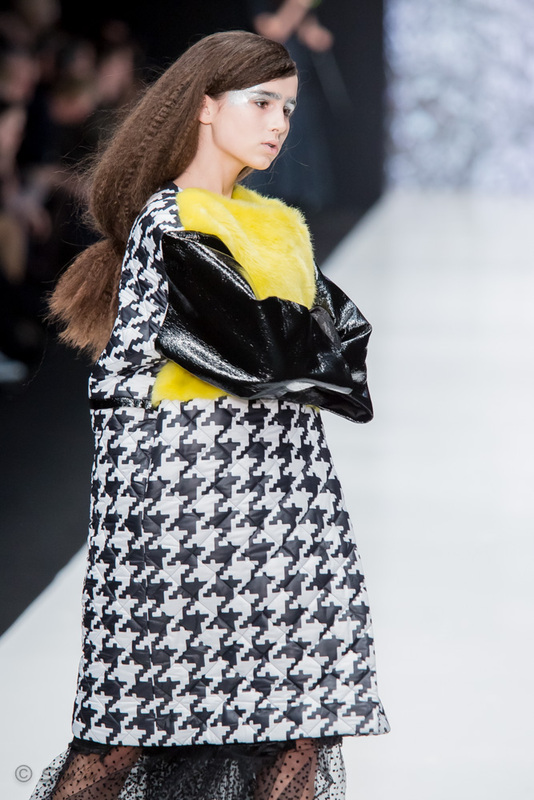 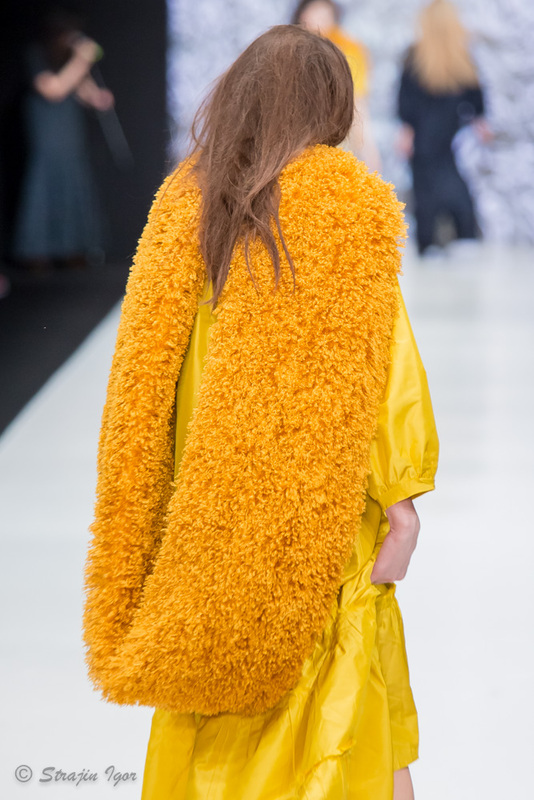 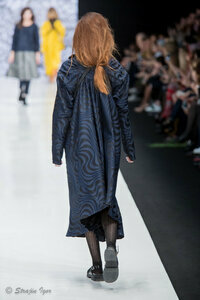 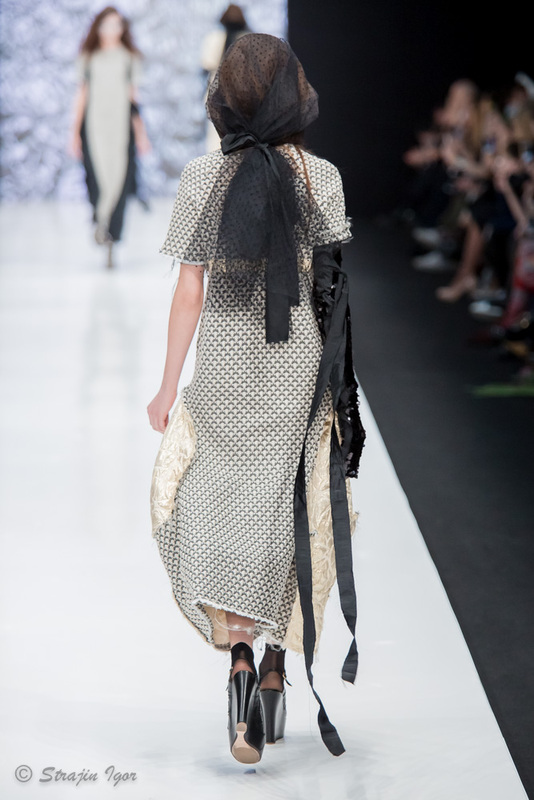 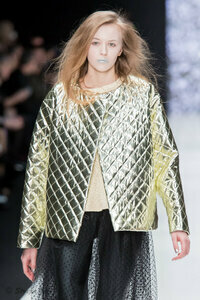 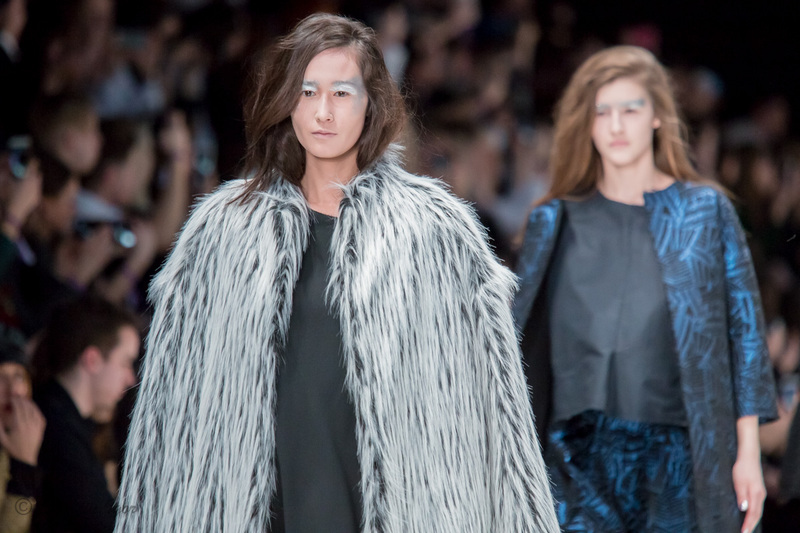 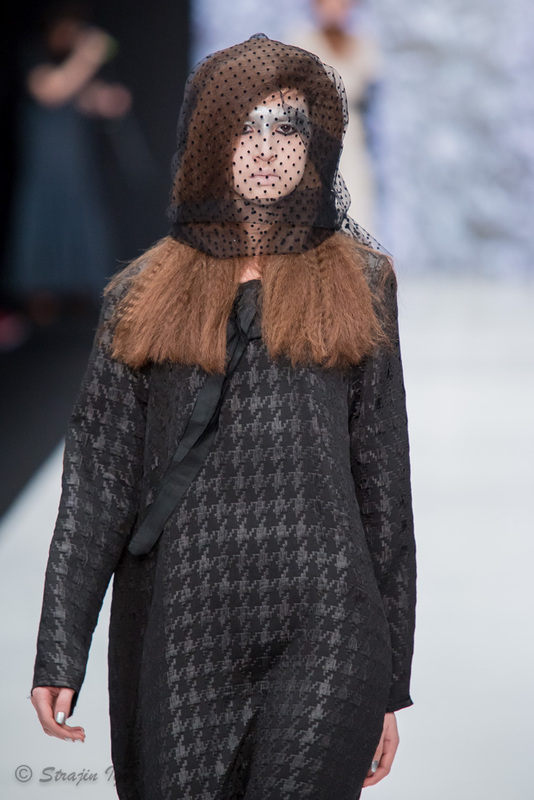 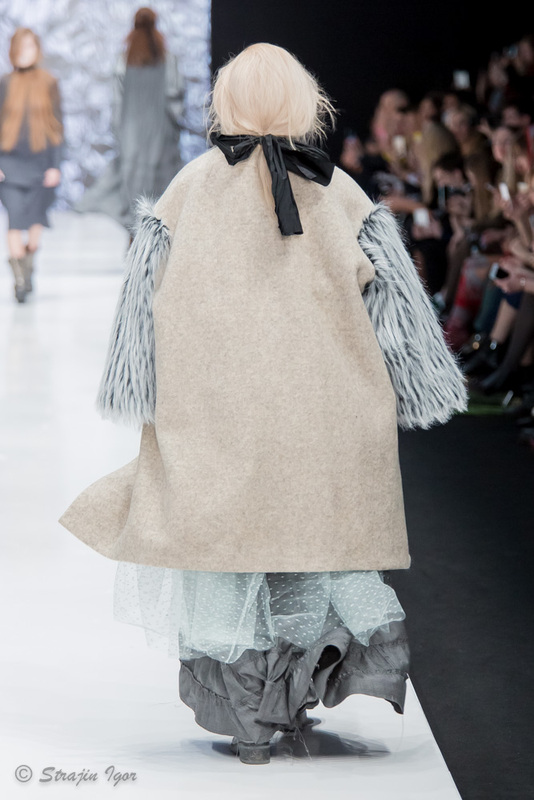 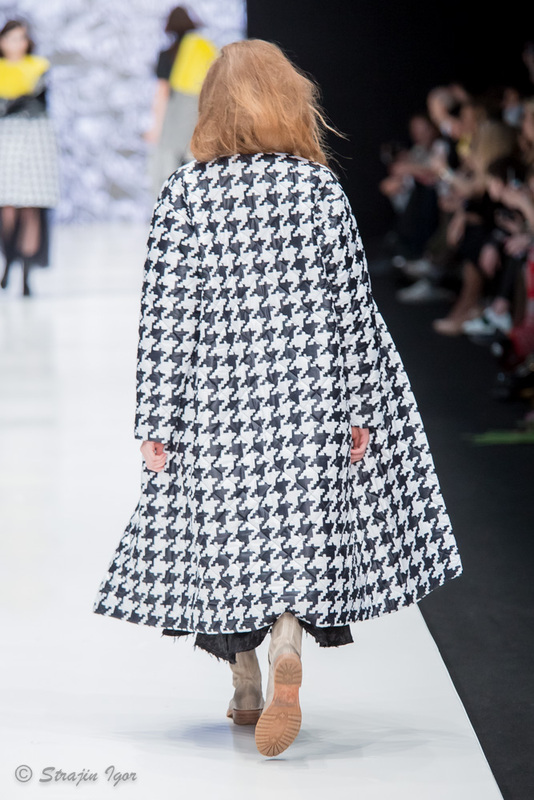 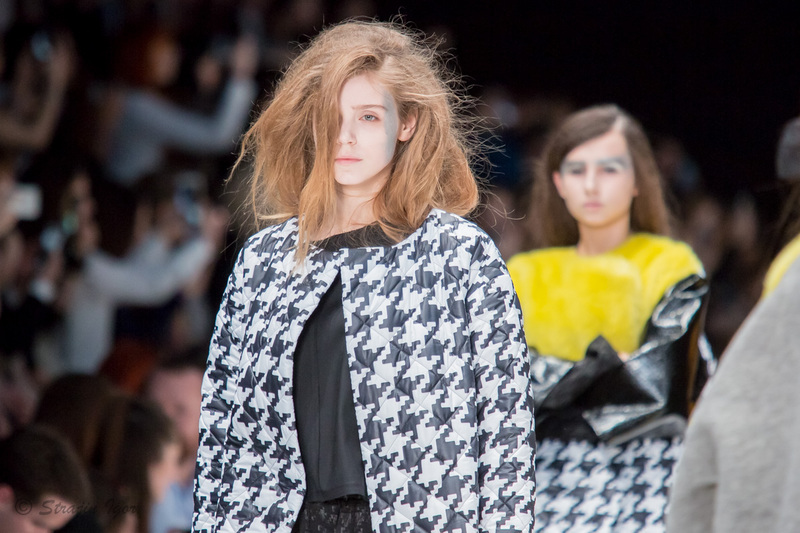 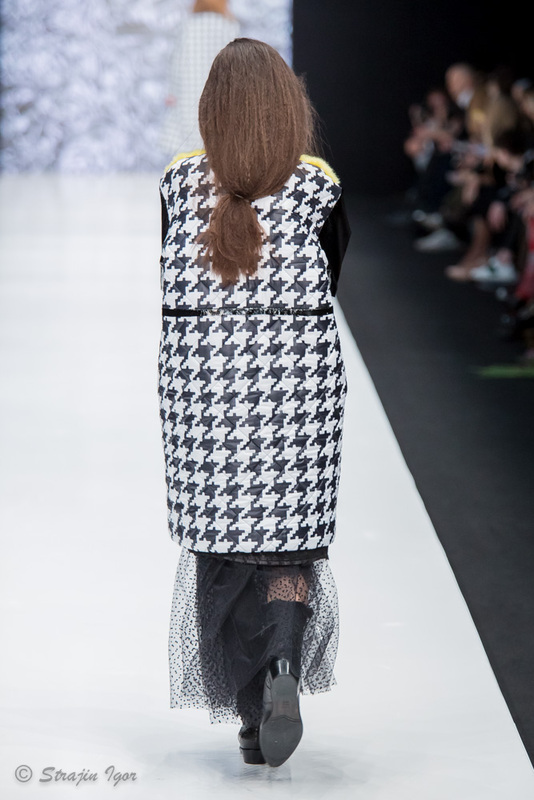 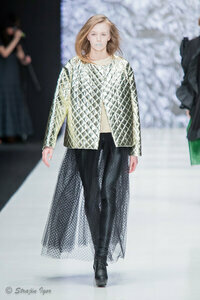 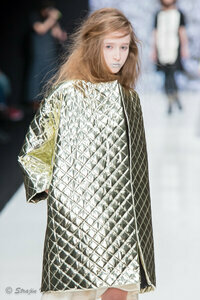 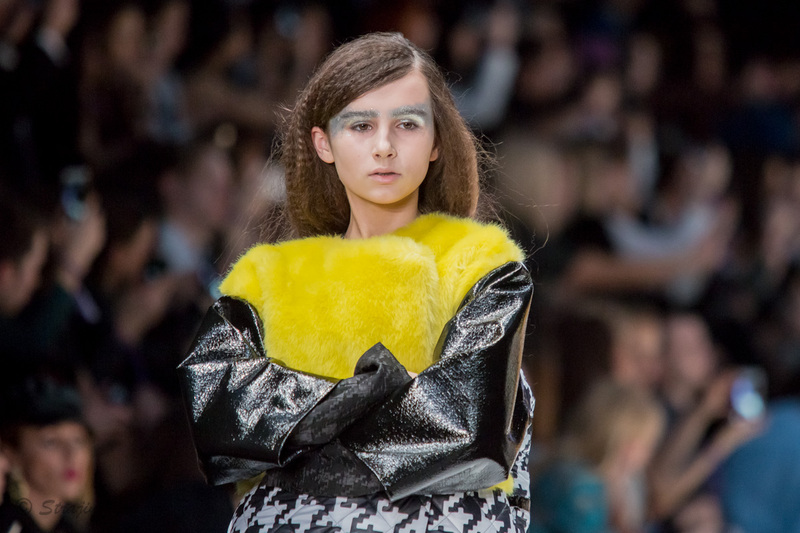 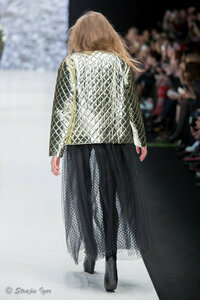 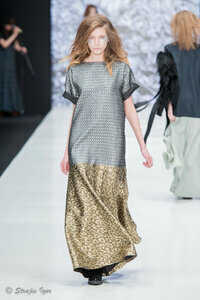 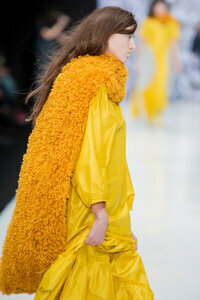 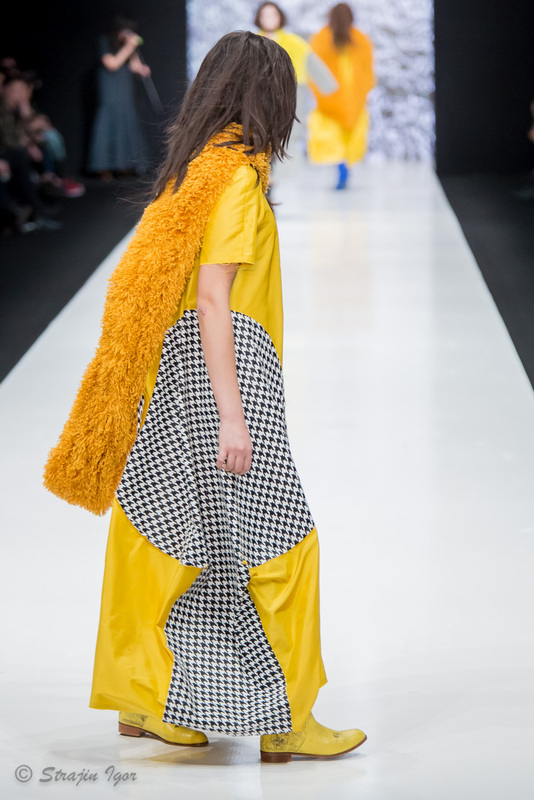 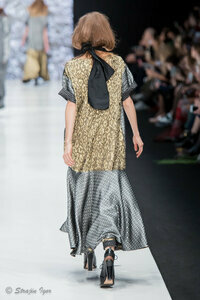 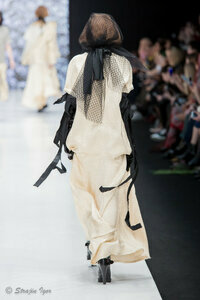 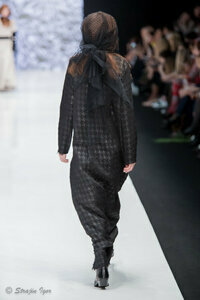 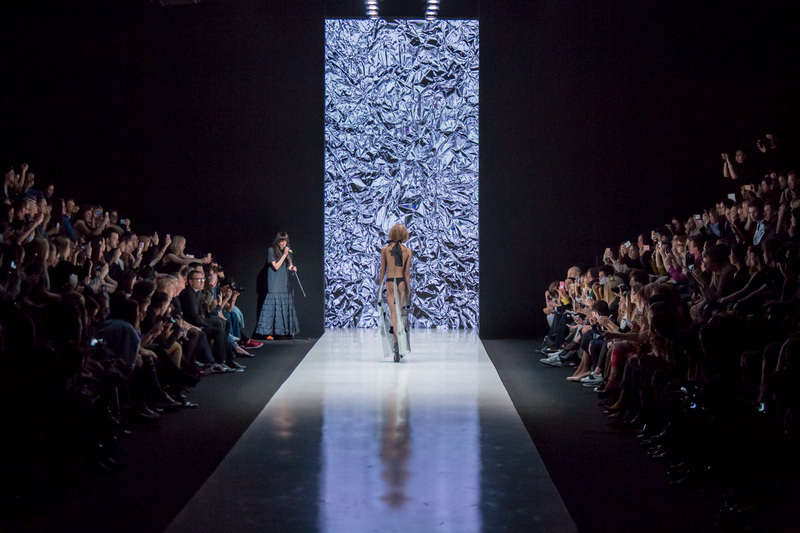 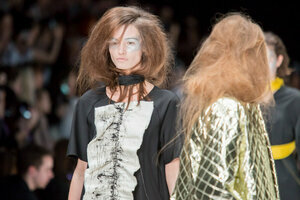 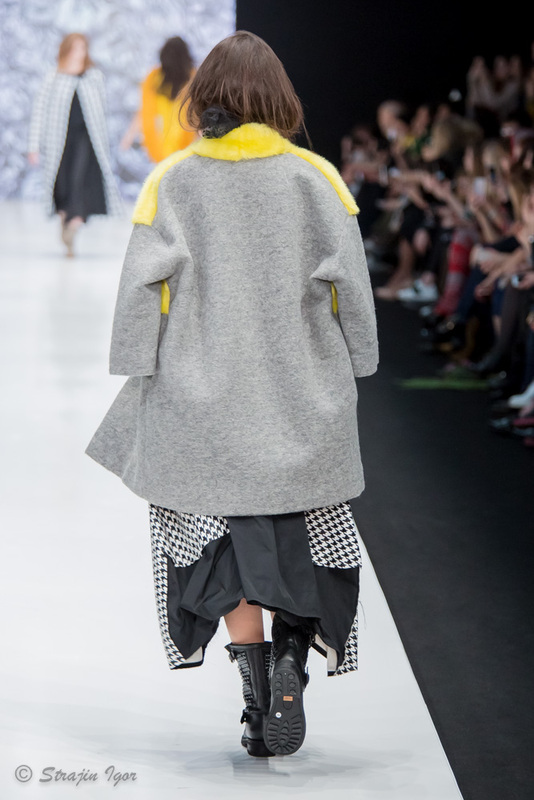 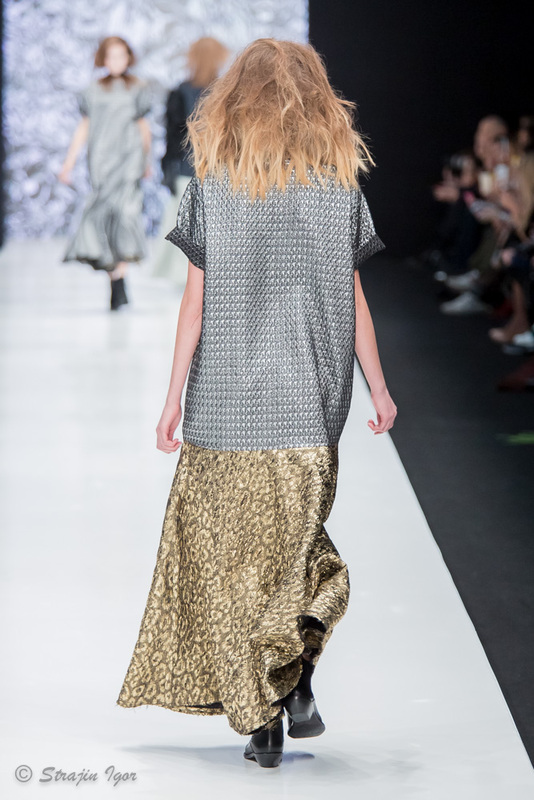 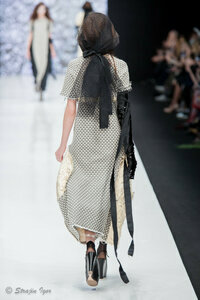 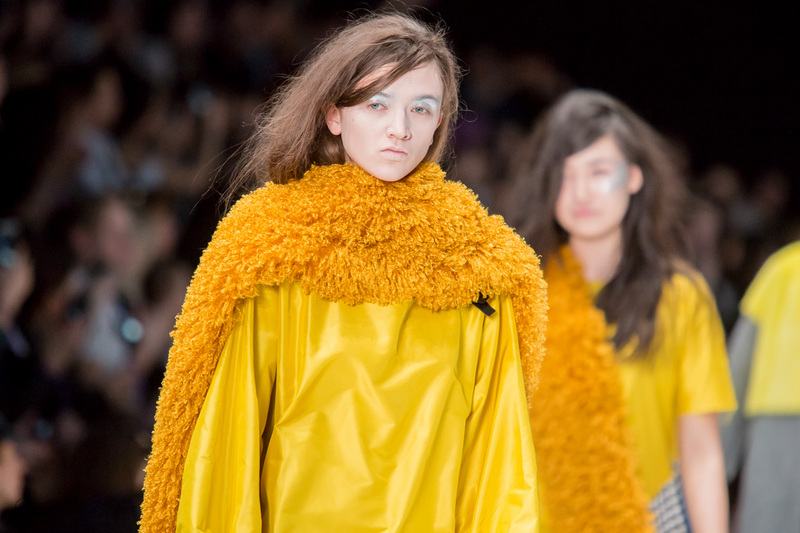 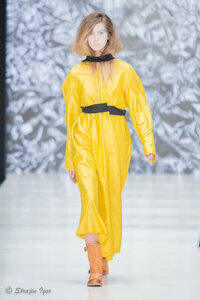 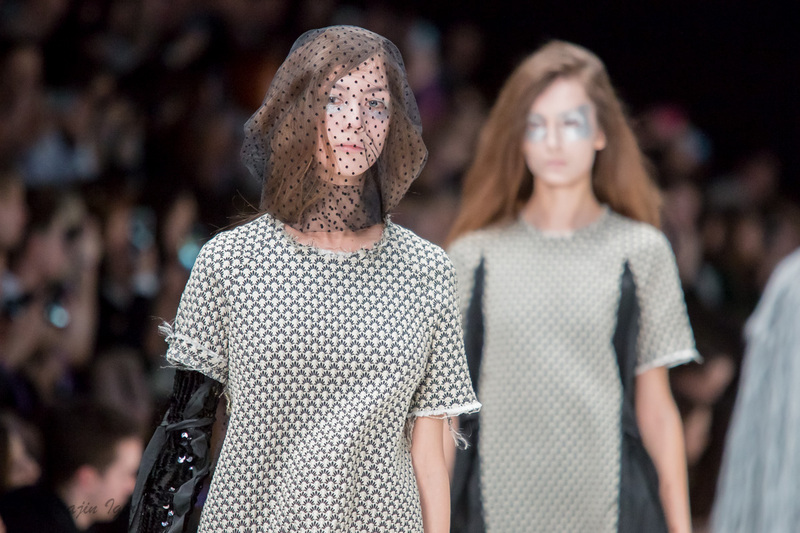 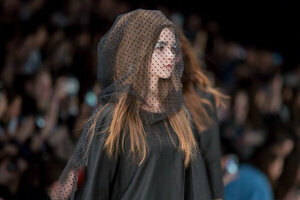 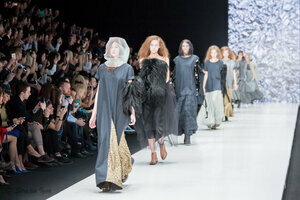 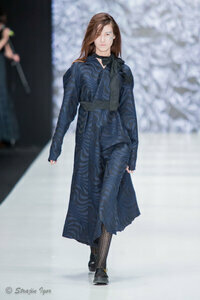 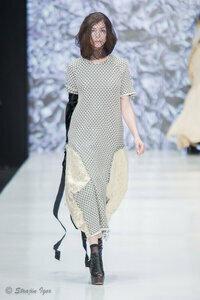 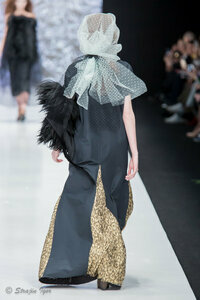 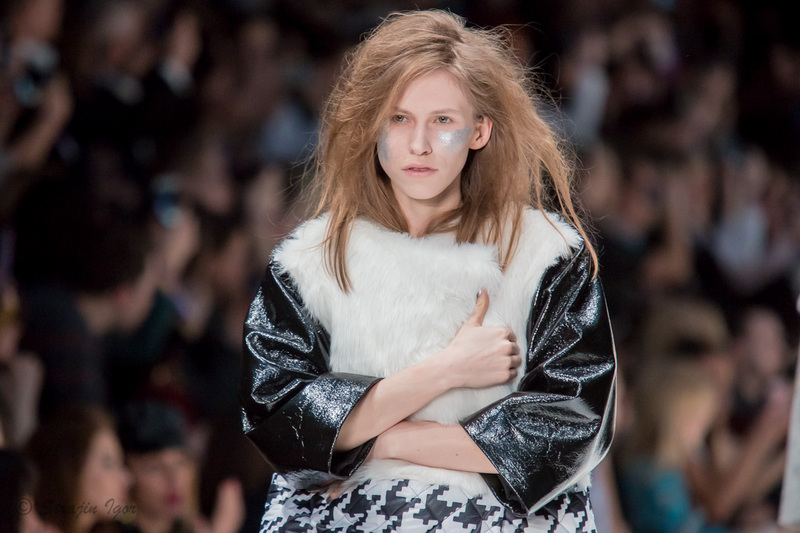 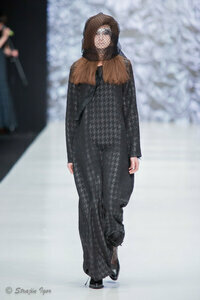 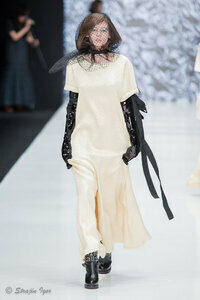 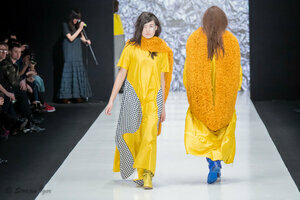 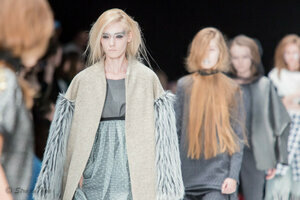 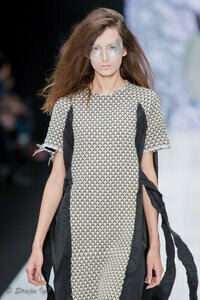 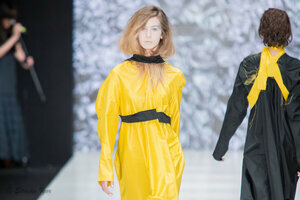 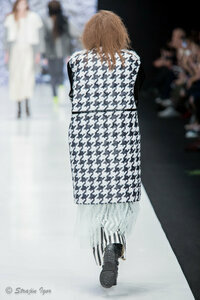 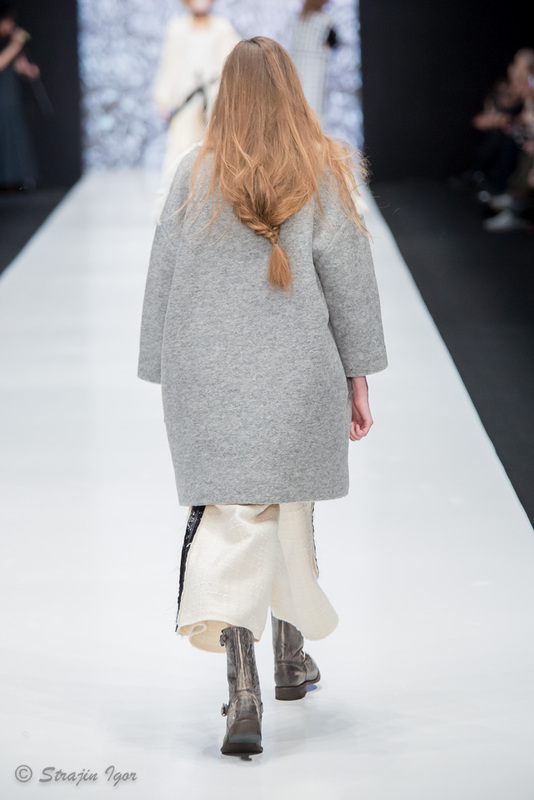 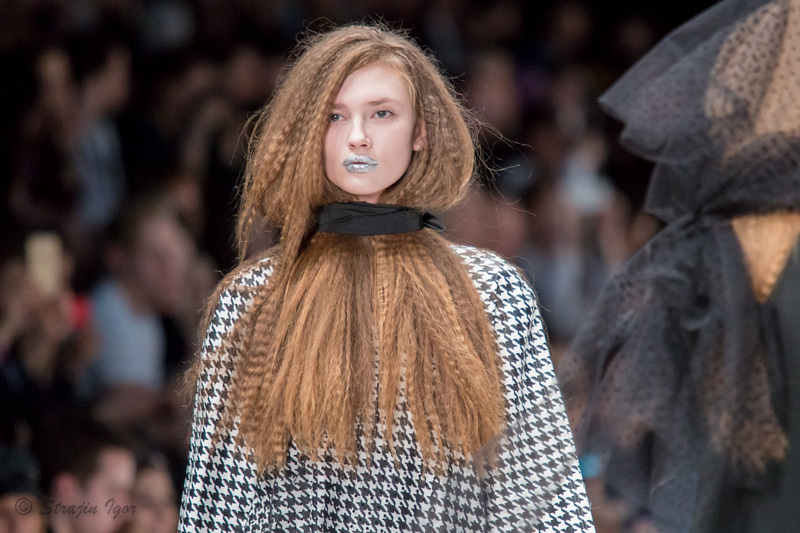 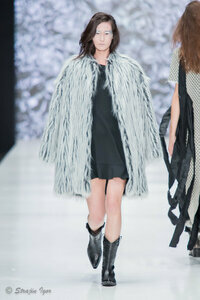 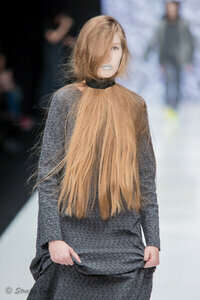 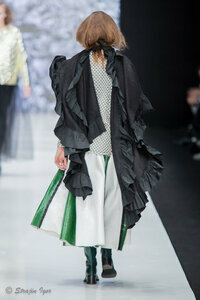 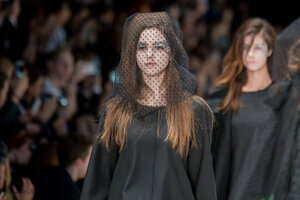 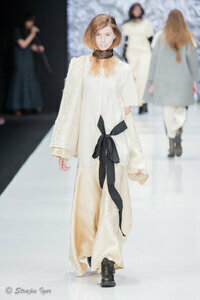 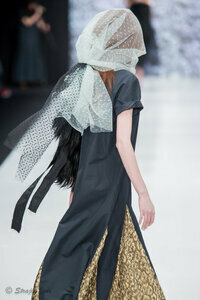 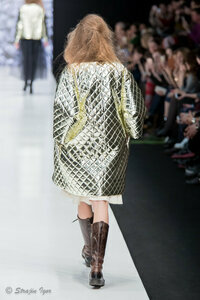 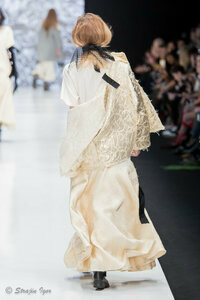 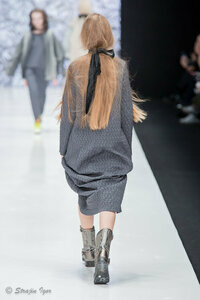 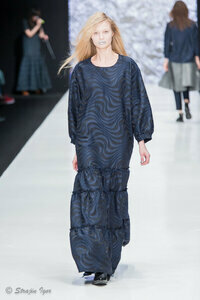 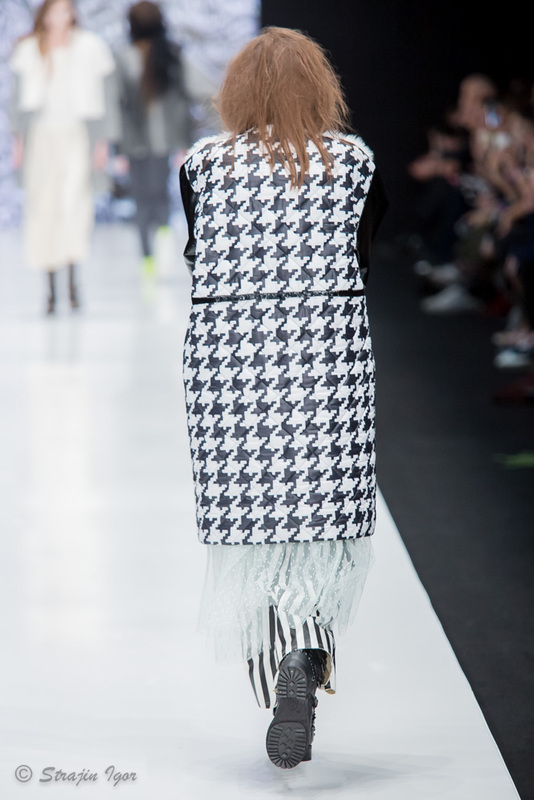 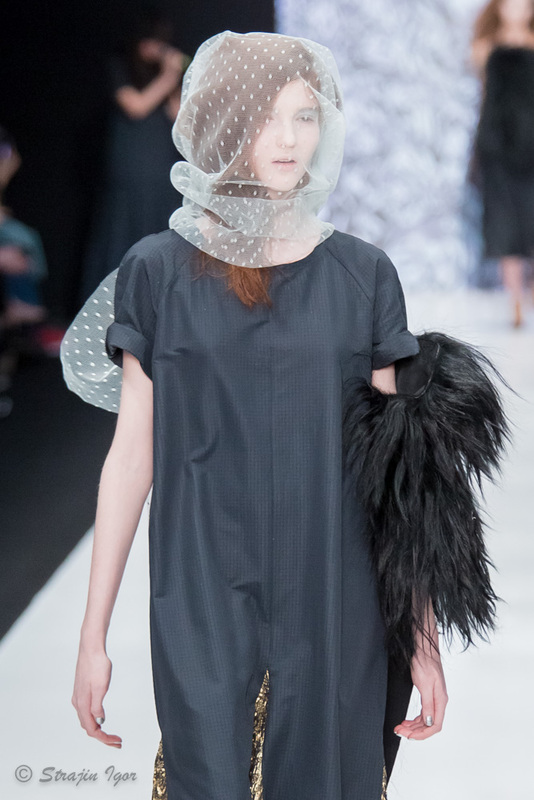 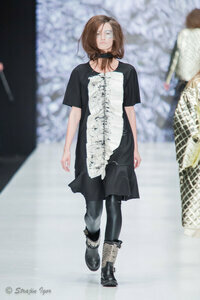 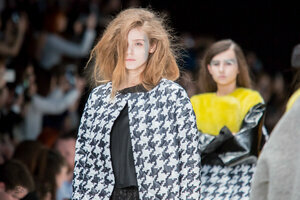 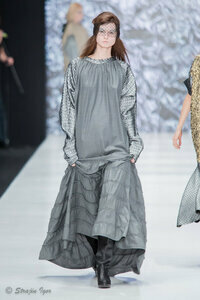 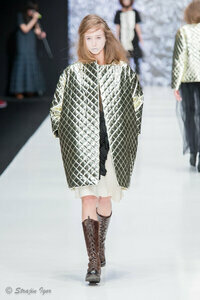 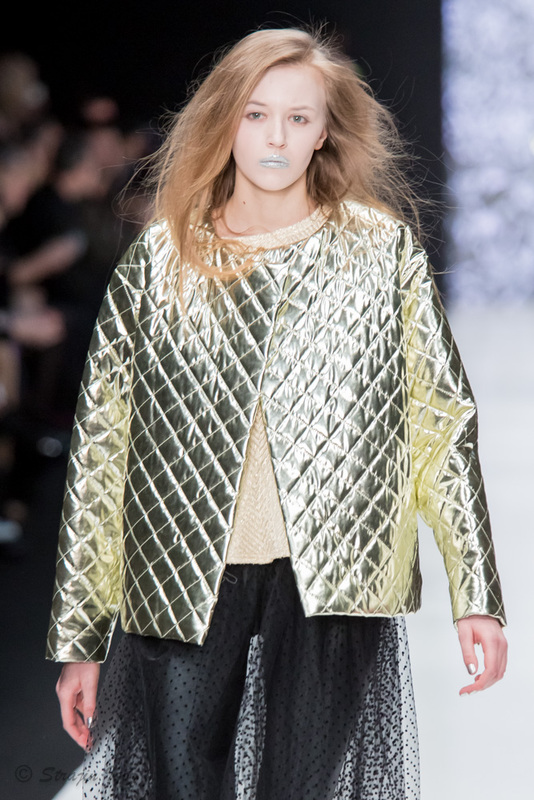 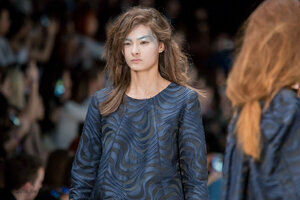 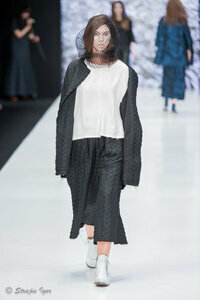 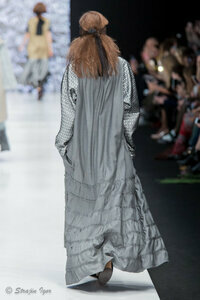 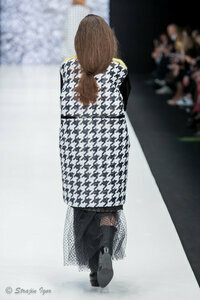 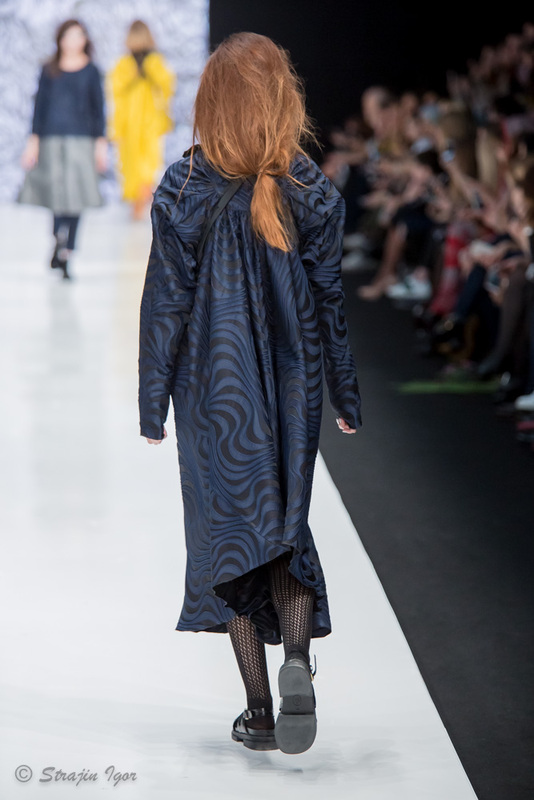 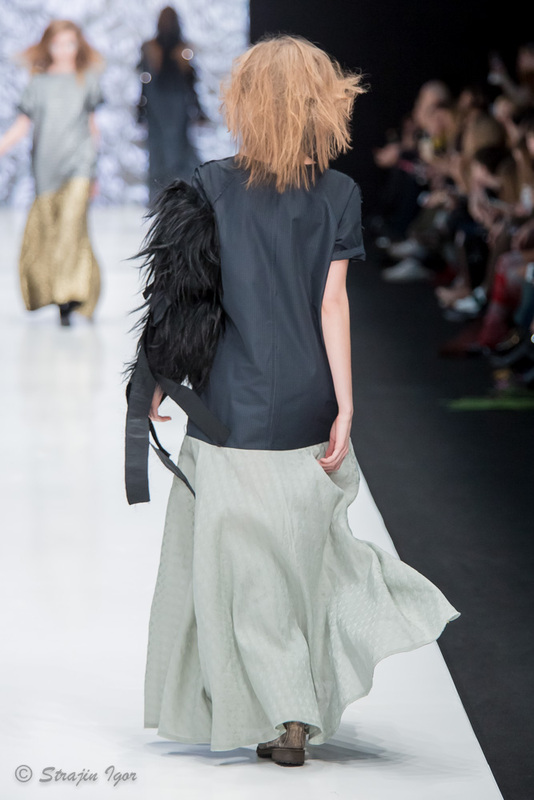 It featured fur, asymmetry, garnish beads and loose silhouettes underlining the idea and the paradox mixes. 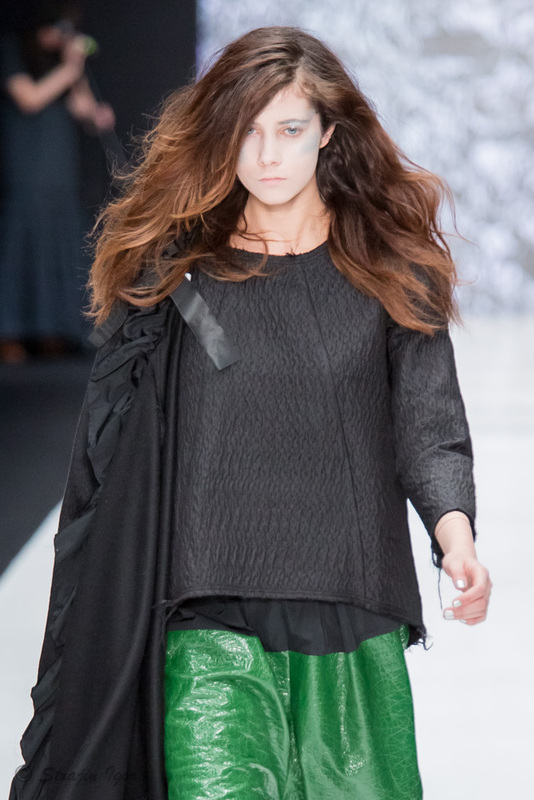 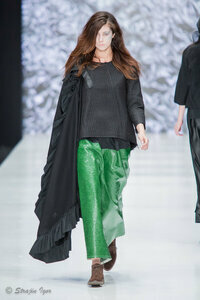 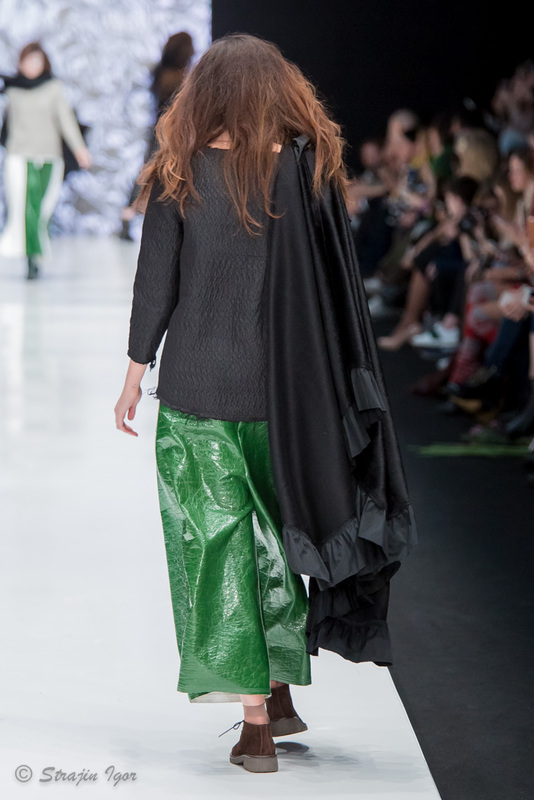 Bright speckles of yellow and deep jade colours were complemented by ‘crows feet’ print and patent leather. 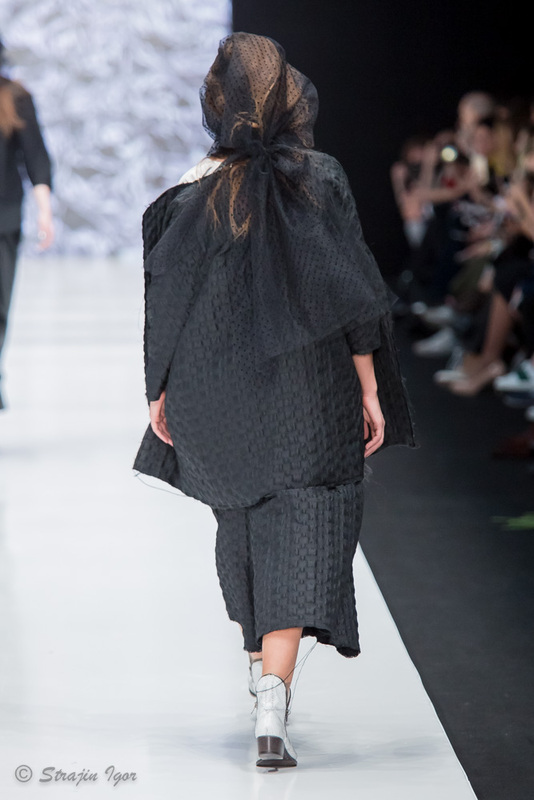 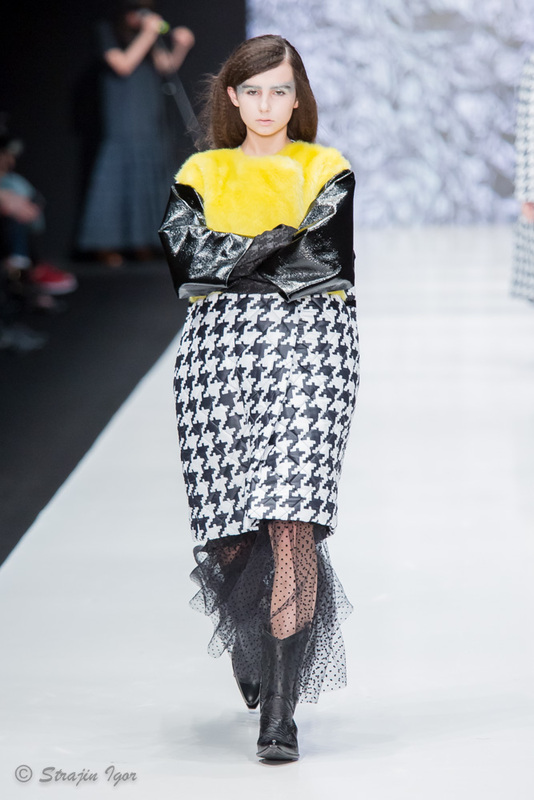 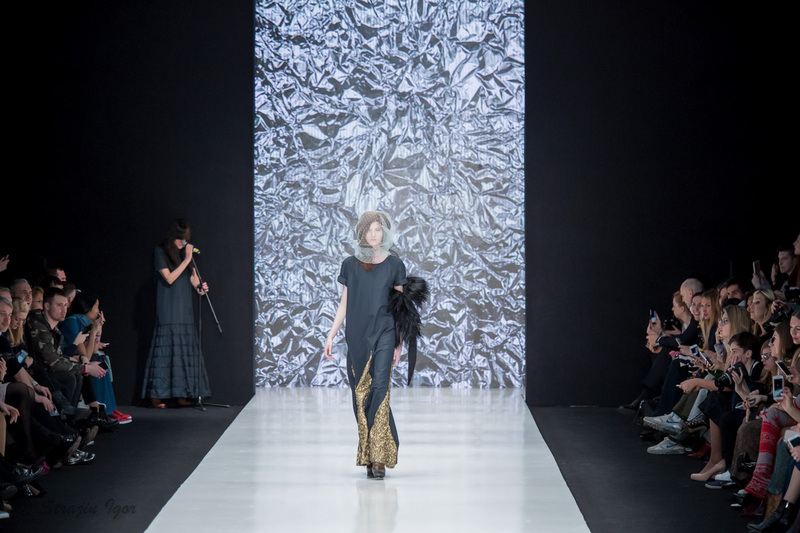 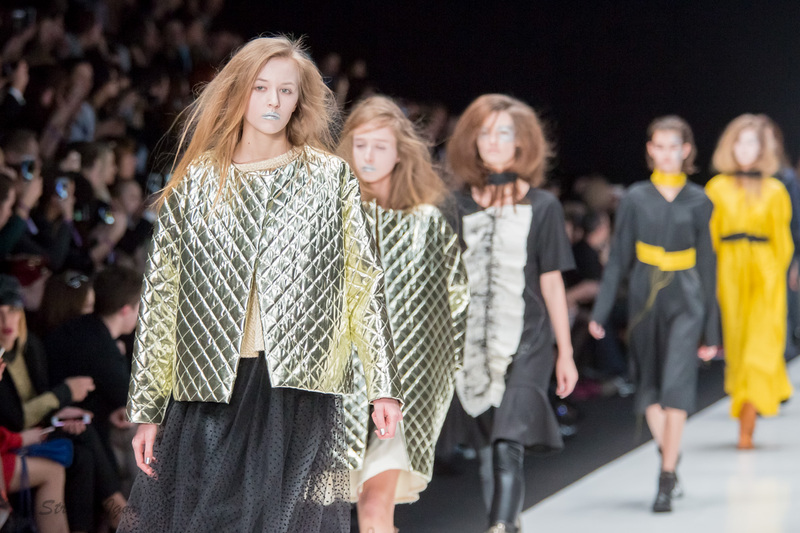 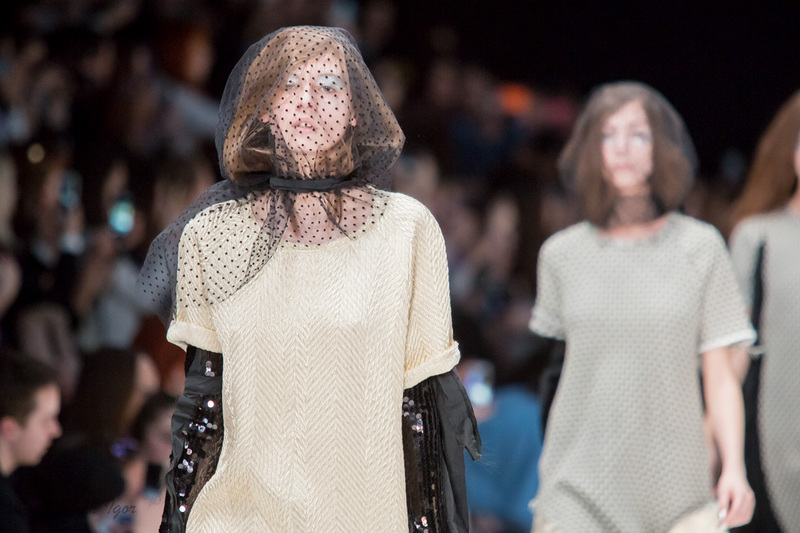 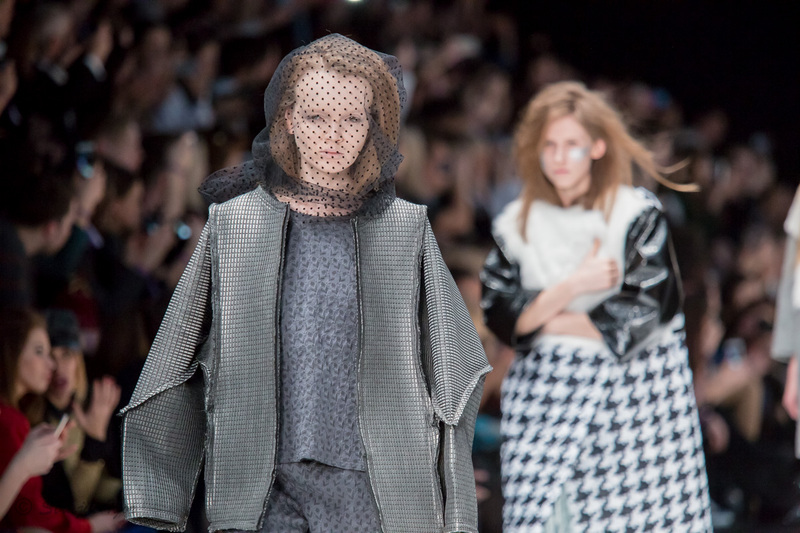 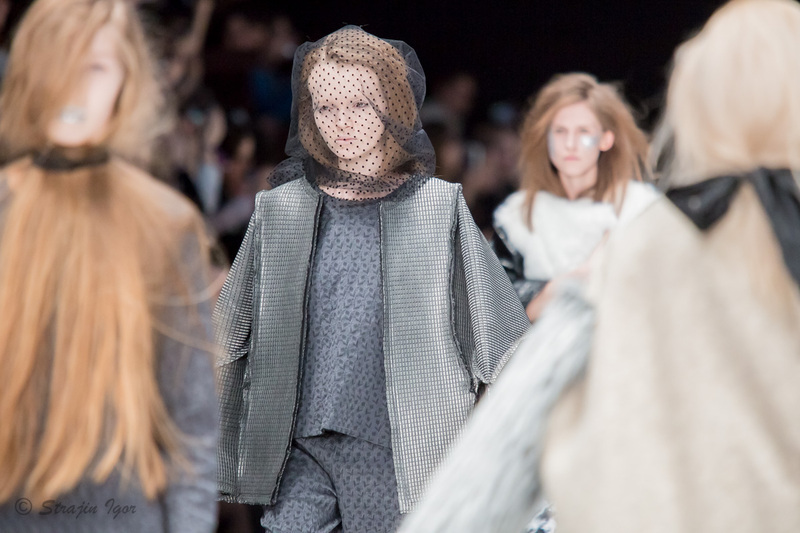 Avant-garde approach to making clothes gives the designer opportunity to create on the clash of Haute Couture fashion and contemporary are producing the right balance between concept and comfort.